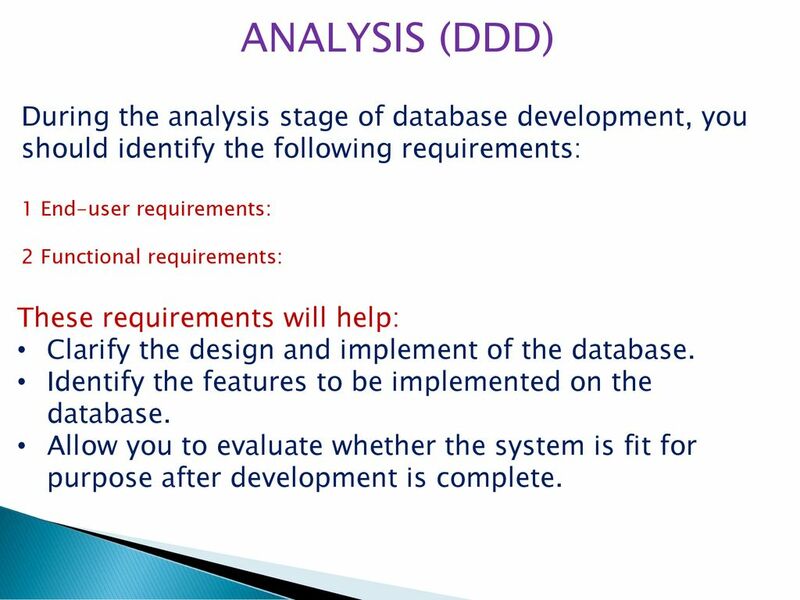 3 ANALYSIS (DDD) During the analysis stage of database development, you should identify the following requirements: 1 End-user requirements: 2 Functional requirements: These requirements will help: Clarify the design and implement of the database. 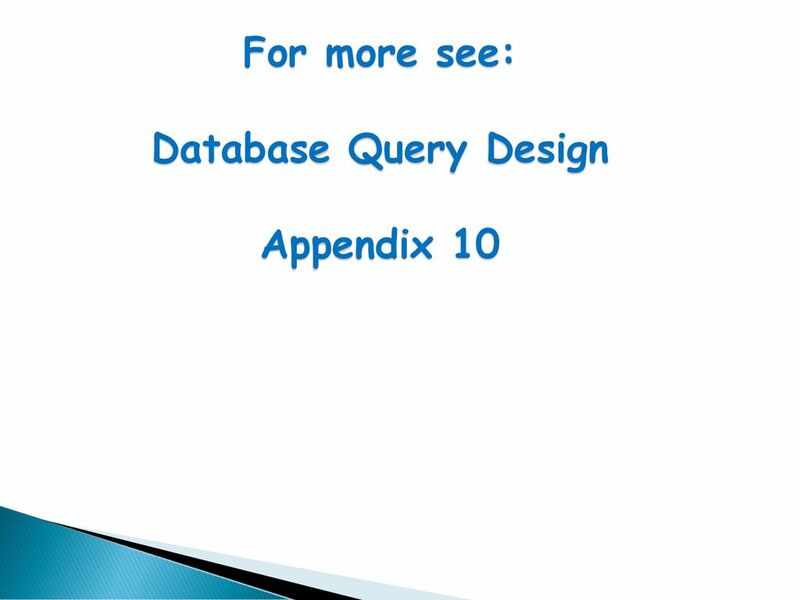 Identify the features to be implemented on the database. 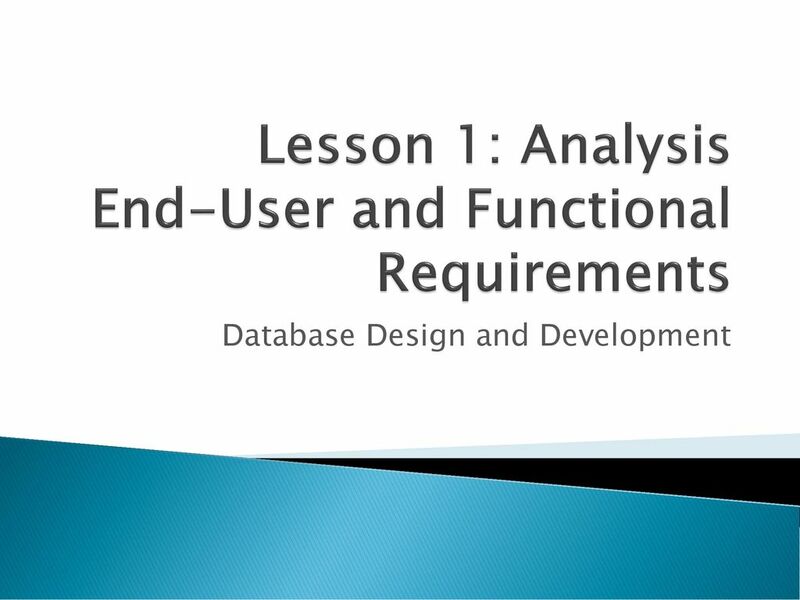 Allow you to evaluate whether the system is fit for purpose after development is complete. 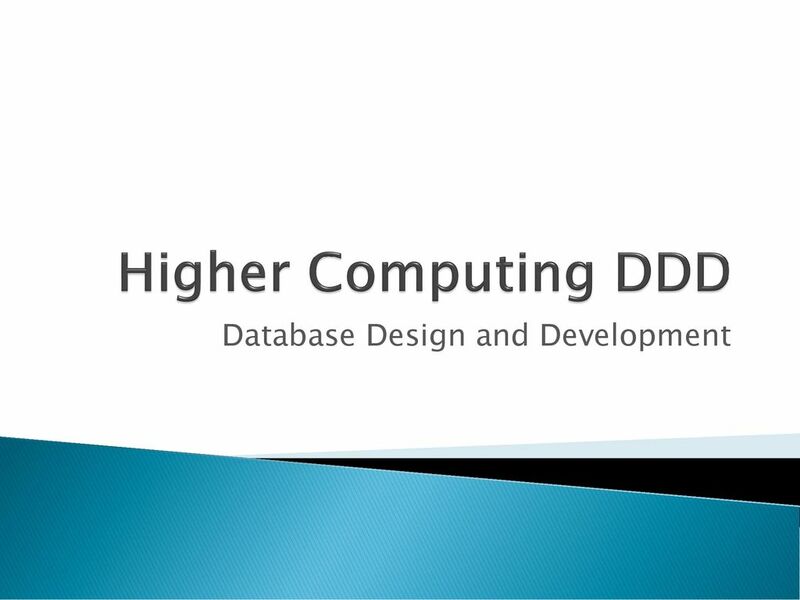 They have appointed a developer team to carry out an analysis of the database requirements. 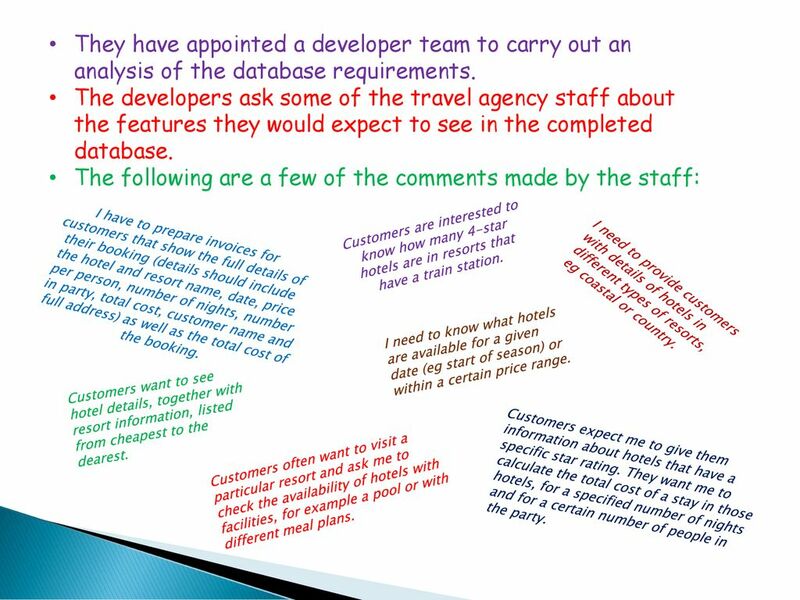 The developers ask some of the travel agency staff about the features they would expect to see in the completed database. 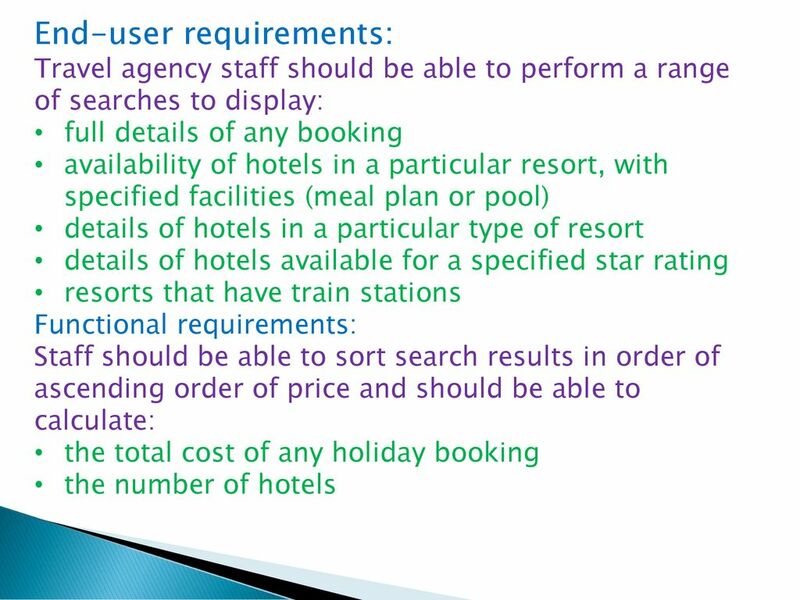 The following are a few of the comments made by the staff: Customers are interested to know how many 4-star hotels are in resorts that have a train station. 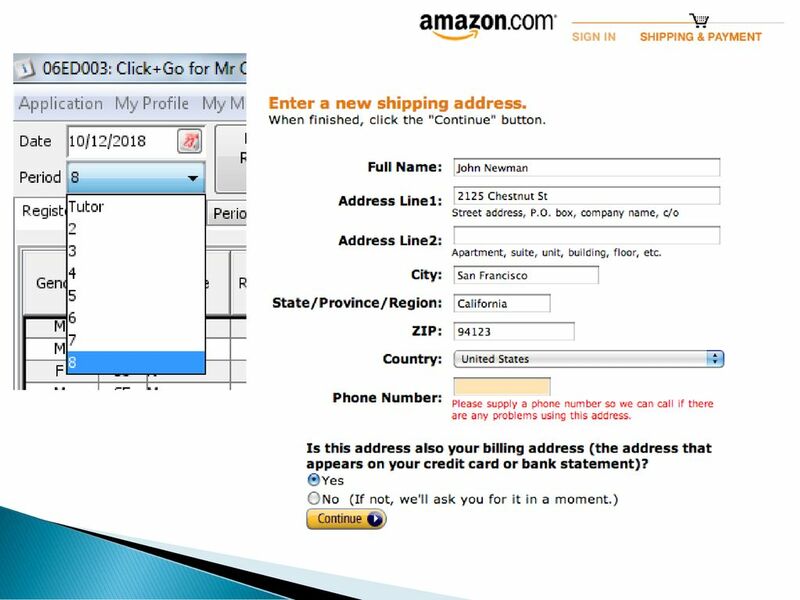 I have to prepare invoices for customers that show the full details of their booking (details should include the hotel and resort name, date, price per person, number of nights, number in party, total cost, customer name and full address) as well as the total cost of the booking. 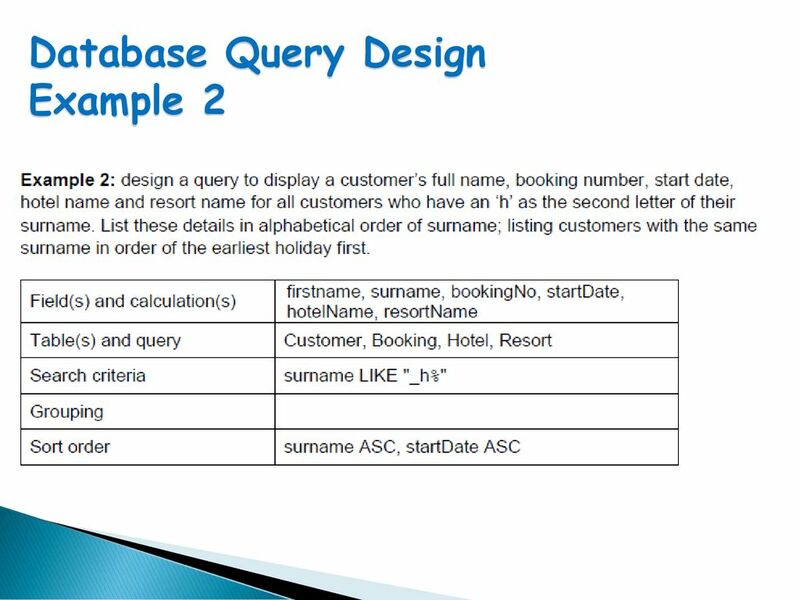 I need to provide customers with details of hotels in different types of resorts, eg coastal or country. I need to know what hotels are available for a given date (eg start of season) or within a certain price range. Customers want to see hotel details, together with resort information, listed from cheapest to the dearest. Customers expect me to give them information about hotels that have a specific star rating. They want me to calculate the total cost of a stay in those hotels, for a specified number of nights and for a certain number of people in the party. Customers often want to visit a particular resort and ask me to check the availability of hotels with facilities, for example a pool or with different meal plans. 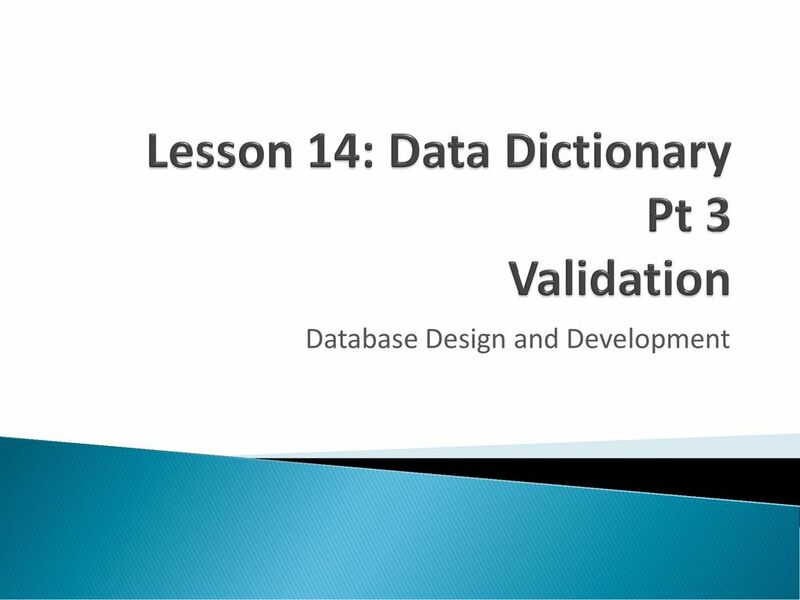 11 DEFINITIONS Entity An entity is a person, place, thing, event or concept of interest to the business or organisation about which data is to be stored. For example, in a school, possible entities might be Student, Teacher, Class and Subject. 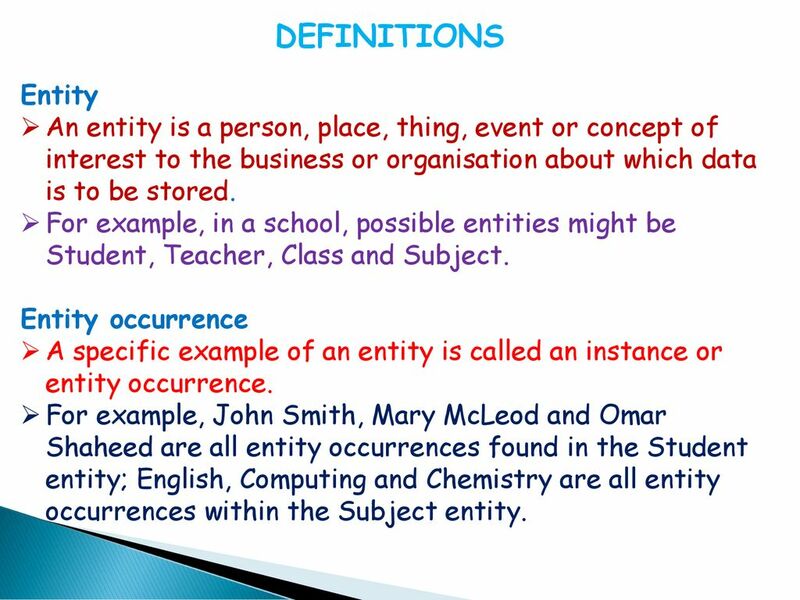 Entity occurrence A specific example of an entity is called an instance or entity occurrence. For example, John Smith, Mary McLeod and Omar Shaheed are all entity occurrences found in the Student entity; English, Computing and Chemistry are all entity occurrences within the Subject entity. 12 Attribute An entity is described by its attributes. Each attribute is a characteristic of the entity. 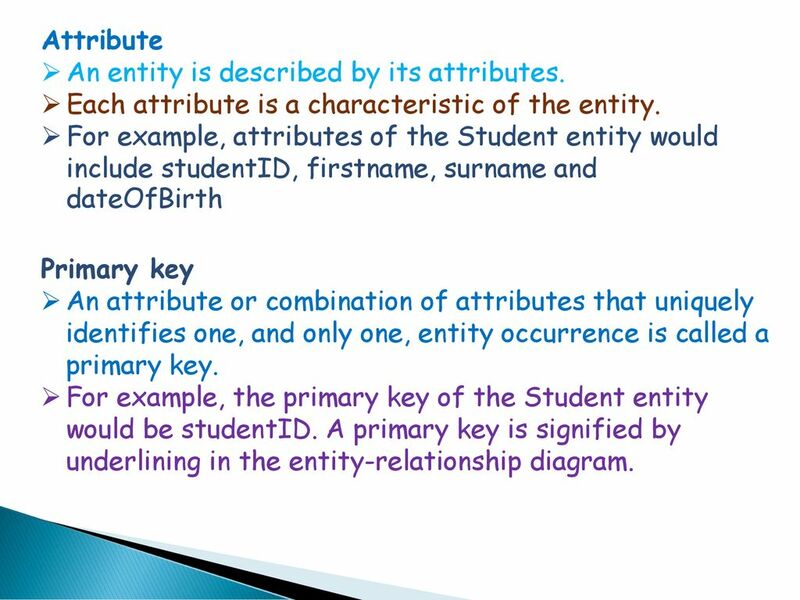 For example, attributes of the Student entity would include studentID, firstname, surname and dateOfBirth Primary key An attribute or combination of attributes that uniquely identifies one, and only one, entity occurrence is called a primary key. 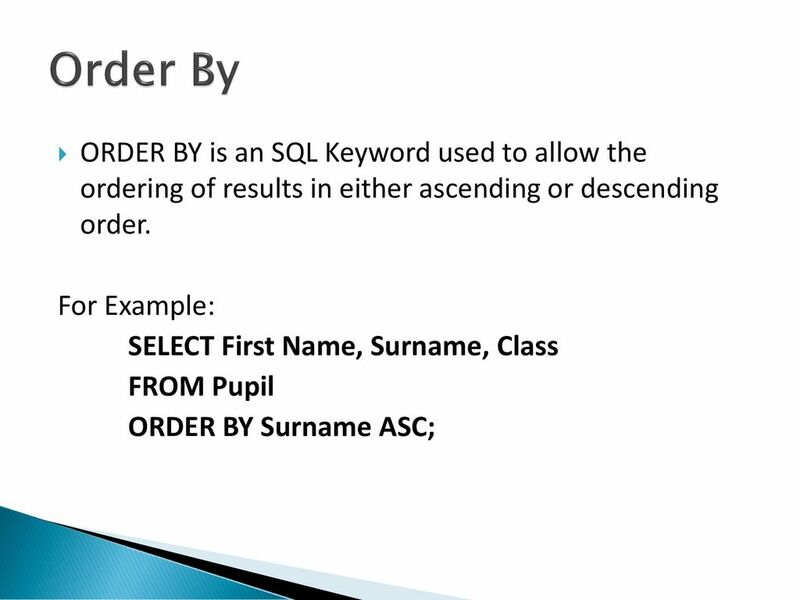 For example, the primary key of the Student entity would be studentID. 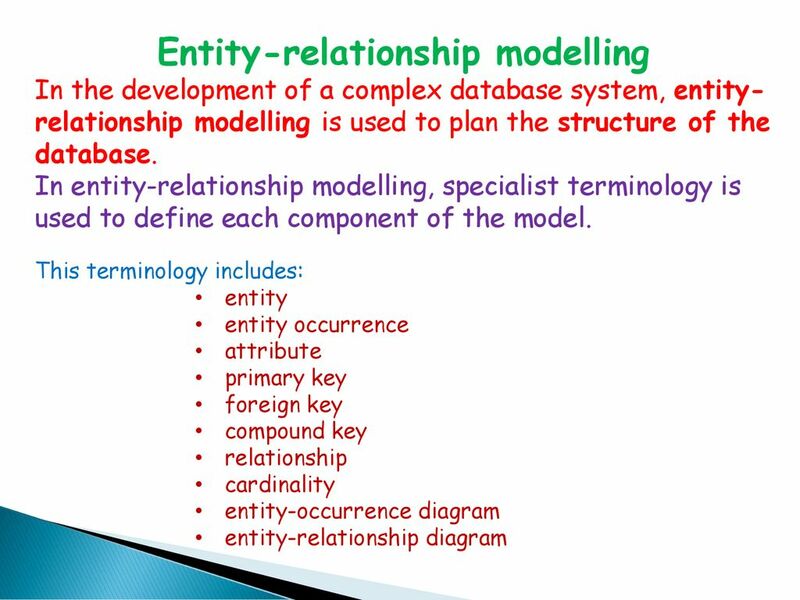 A primary key is signified by underlining in the entity-relationship diagram. 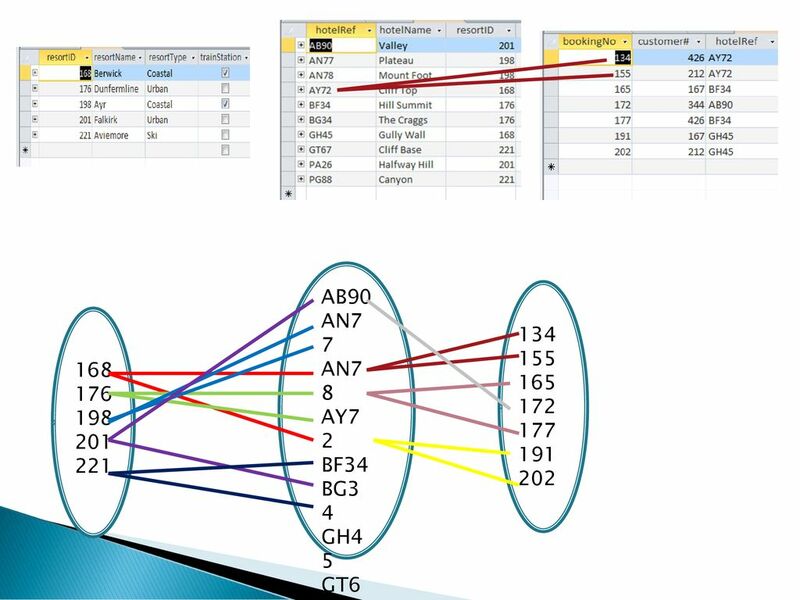 13 Foreign key An attribute in one table that uniquely identifies a row of anther table i.e. 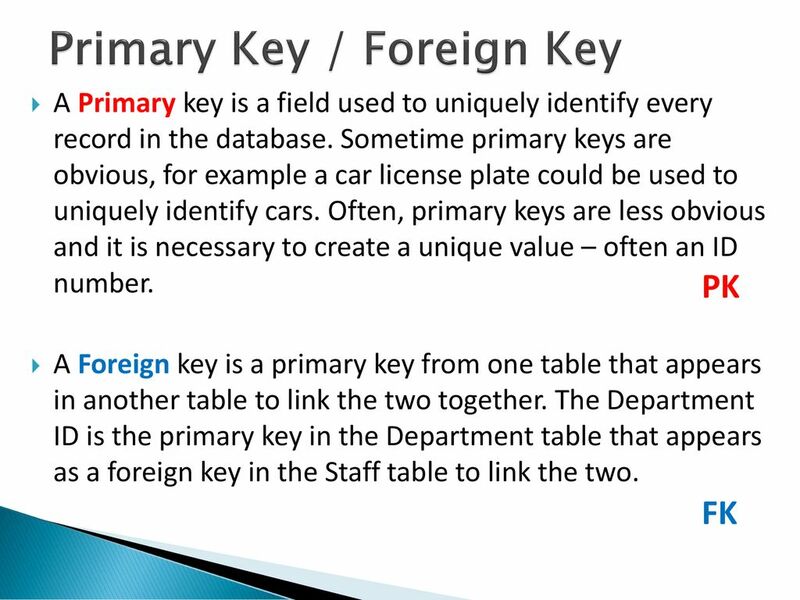 a primary key. 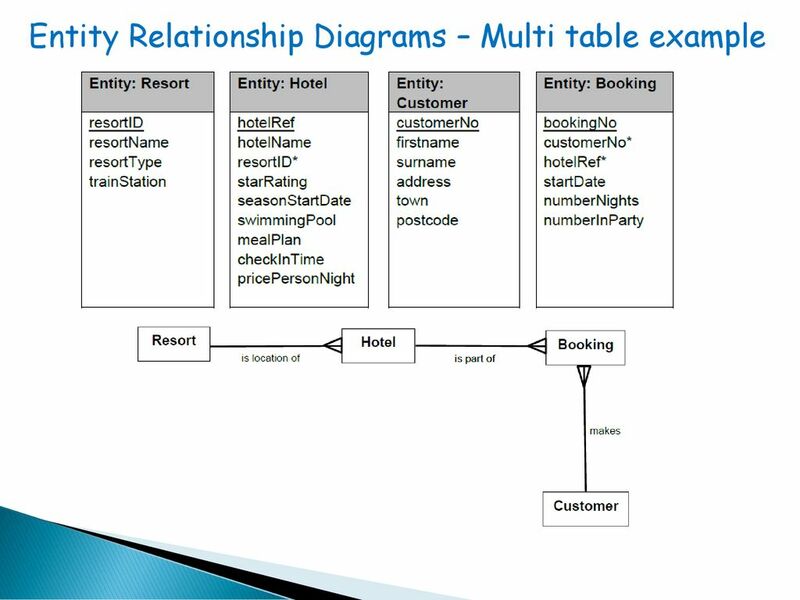 A foreign key is signified by an asterisk in the entity-relationship diagram. Compound key A compound key is a primary key that comprises two or more attributes. Each attribute that makes up a compound key is a primary key in its own right. For example, the primary key of the Class entity would be the compound key formed by combining subjectCode + teacherRef + columnID. 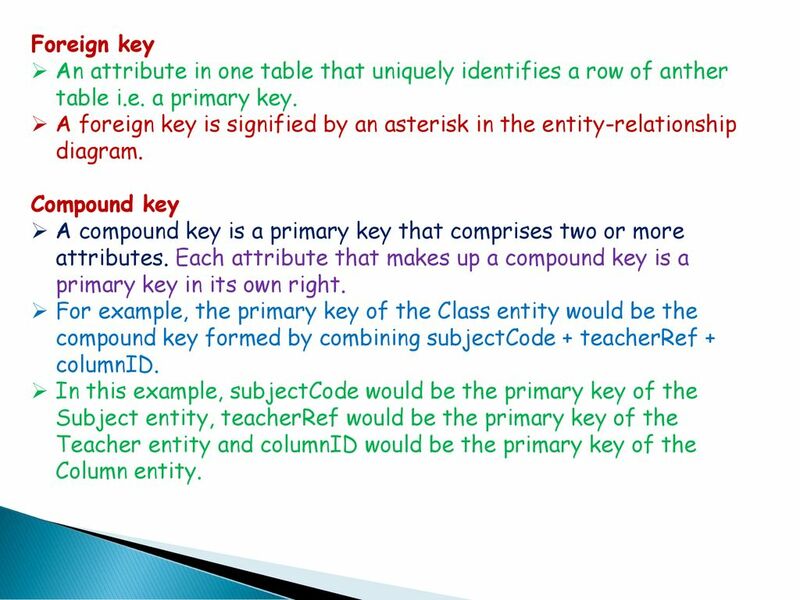 In this example, subjectCode would be the primary key of the Subject entity, teacherRef would be the primary key of the Teacher entity and columnID would be the primary key of the Column entity. 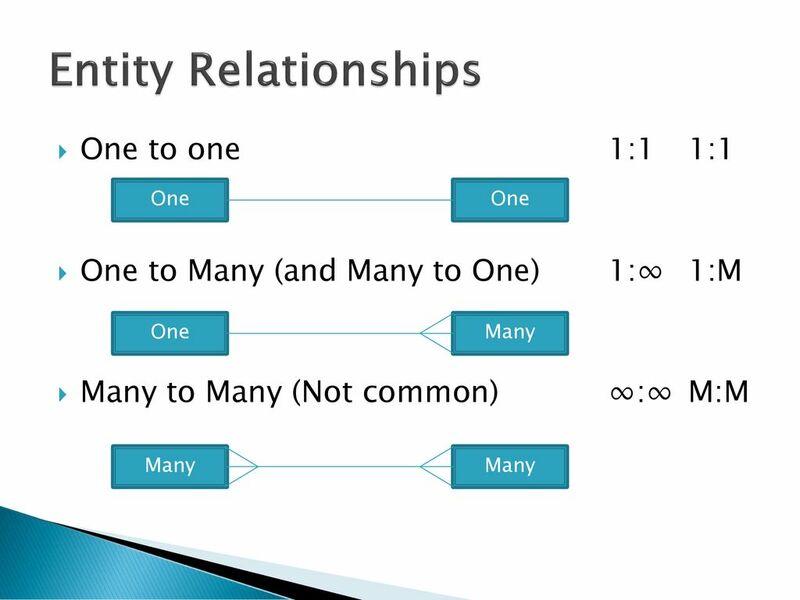 In a one-to-one relationship, each entity occurrence in an entity is associated with one, and only one, entity occurrence within a related entity. For example, a School is managed by one, and only one, Headteacher, with a Headteacher managing one, and only one, School. This entity-relationship diagram illustrates the relationship between the two entities School and Headteacher. 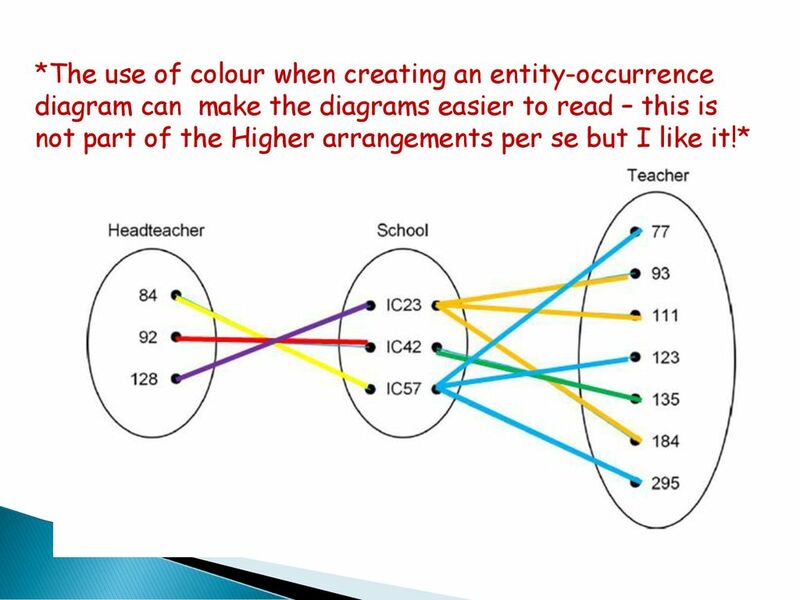 A description of the relationship can be generated by reading across the diagram in both directions: Each School is managed by one, and exactly one, Headteacher while each Headteacher manages one, and only one, School. 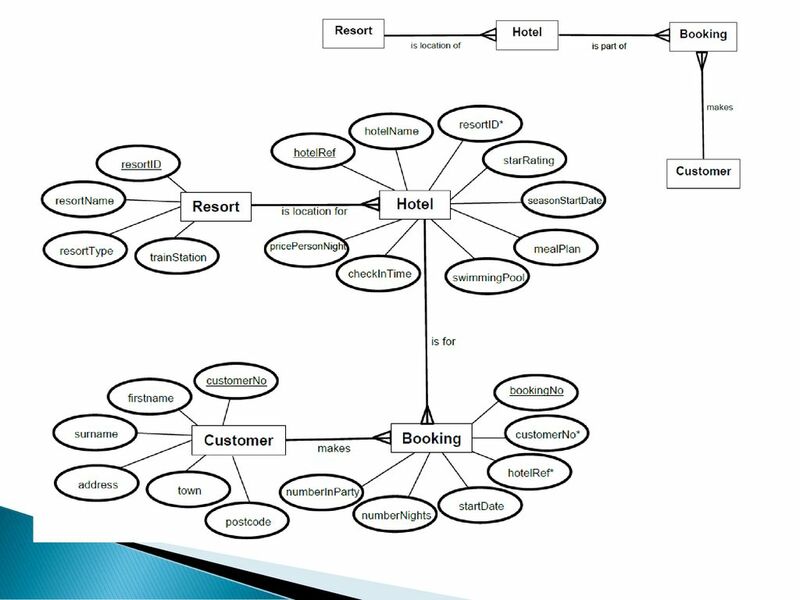 An entity-relationship diagram is a graphical representation of the entities in a system. 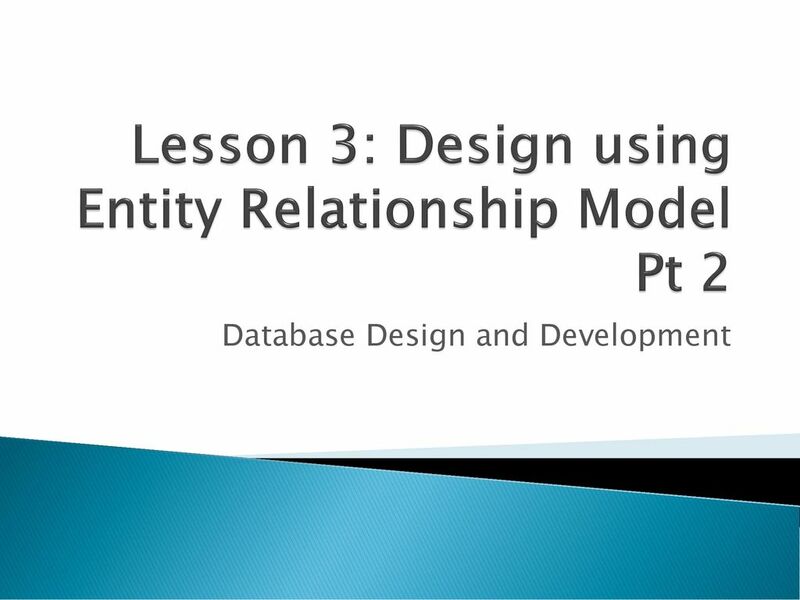 It is used to summarise the relationship that exists between two or more entities. 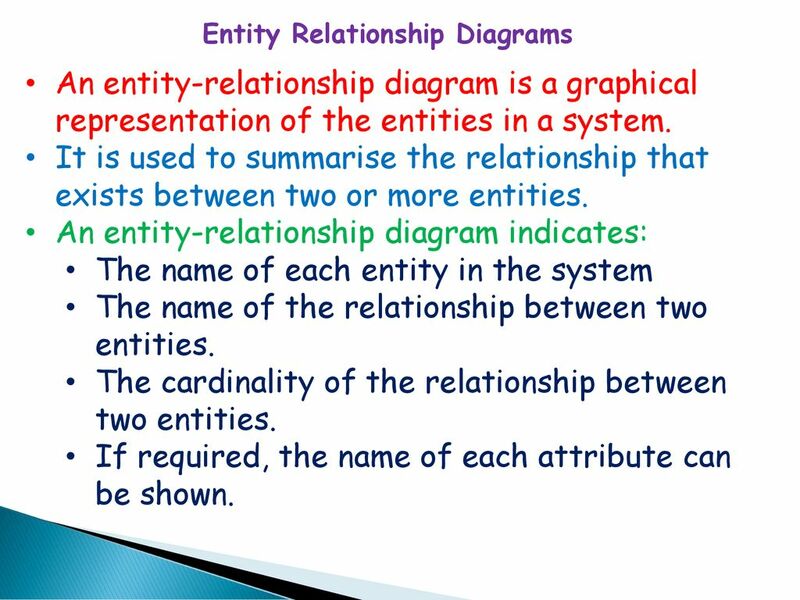 An entity-relationship diagram indicates: The name of each entity in the system The name of the relationship between two entities. 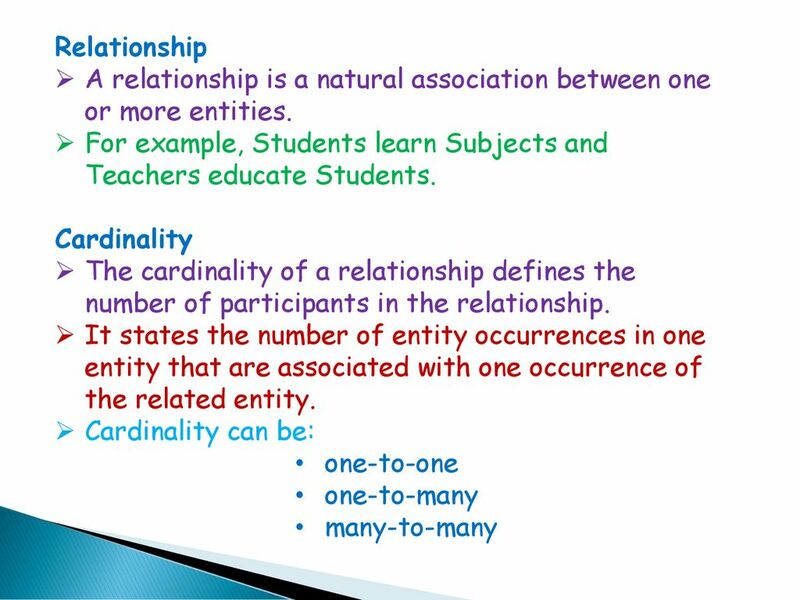 The cardinality of the relationship between two entities. 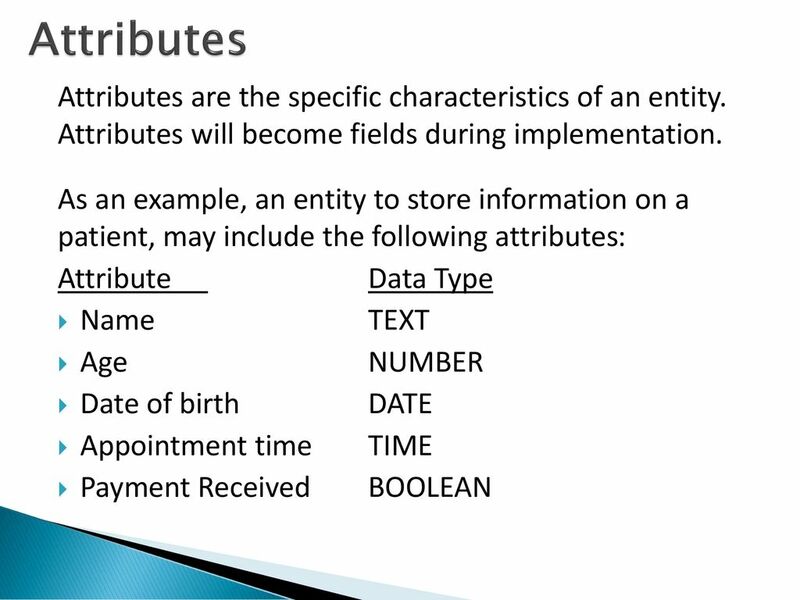 If required, the name of each attribute can be shown. 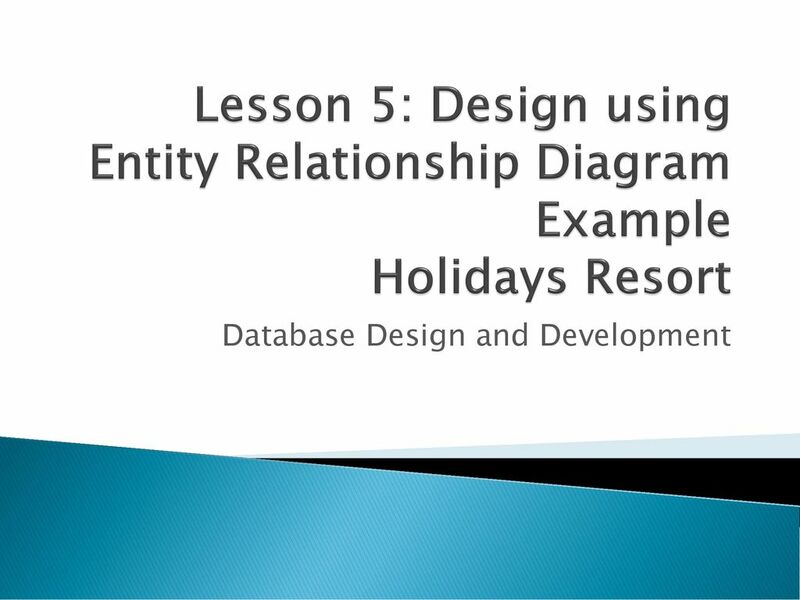 The entities on an entity-relationship diagram are represented by labelled rectangles. 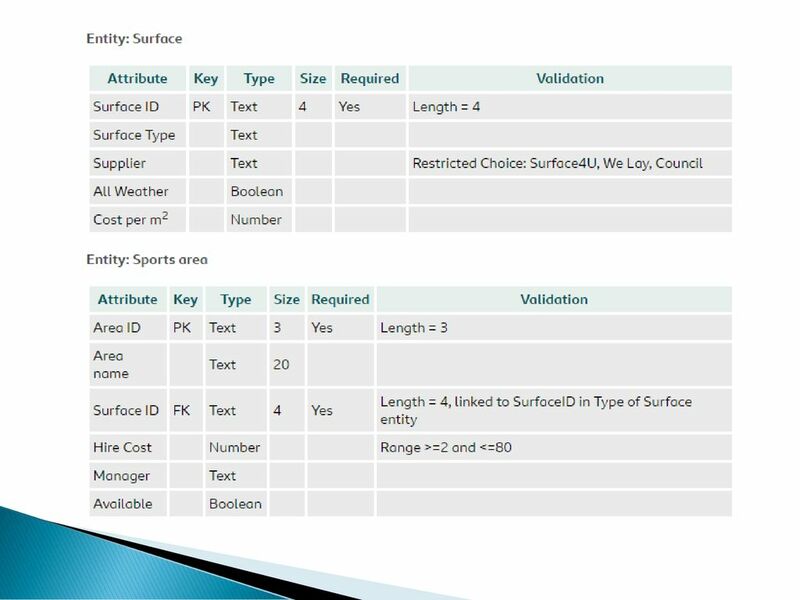 If required, the attributes within each entity can be represented as labelled ovals. 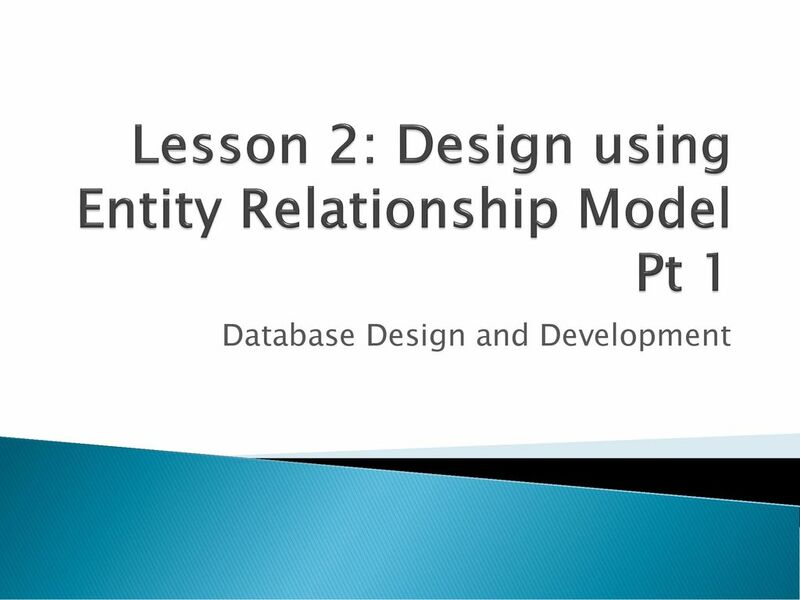 The relationship between two entities is represented by the labelled line which is used to join the entities. 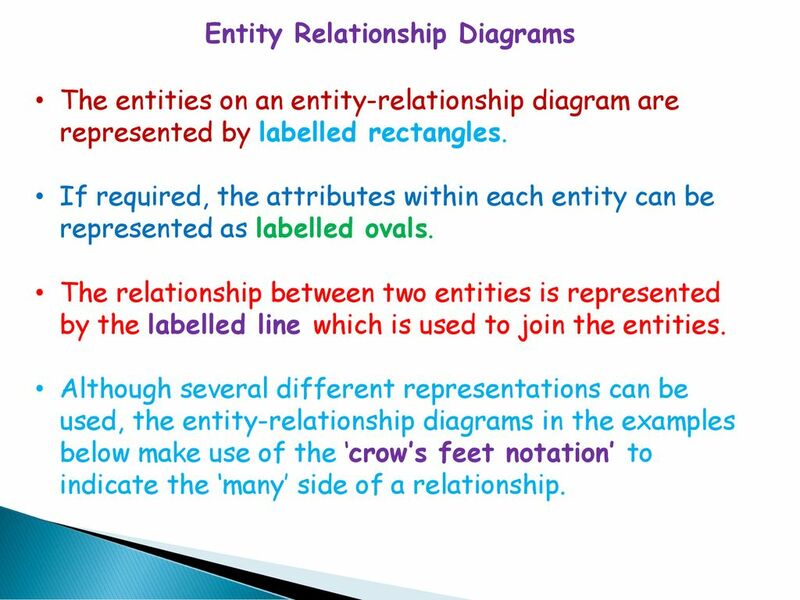 Although several different representations can be used, the entity-relationship diagrams in the examples below make use of the ‘crow’s feet notation’ to indicate the ‘many’ side of a relationship. 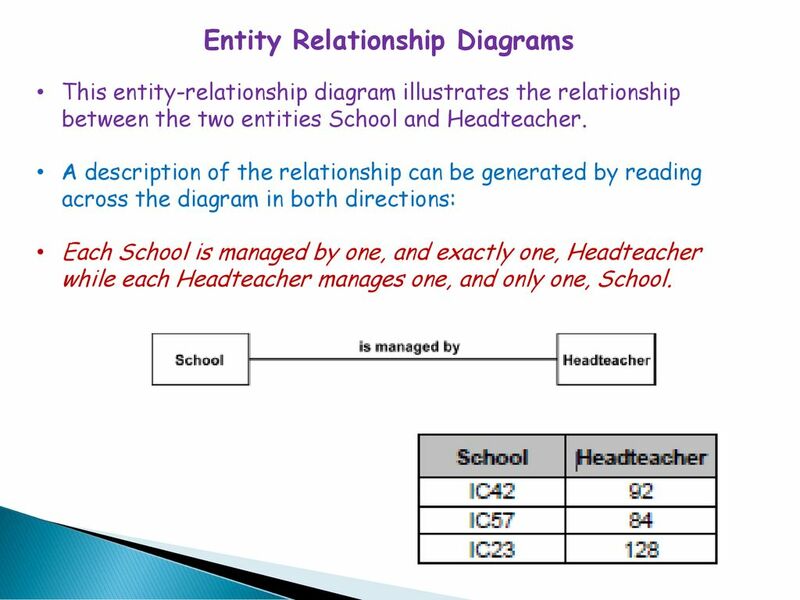 This entity-relationship diagram illustrates the relationship between the two entities School and Headteacher. 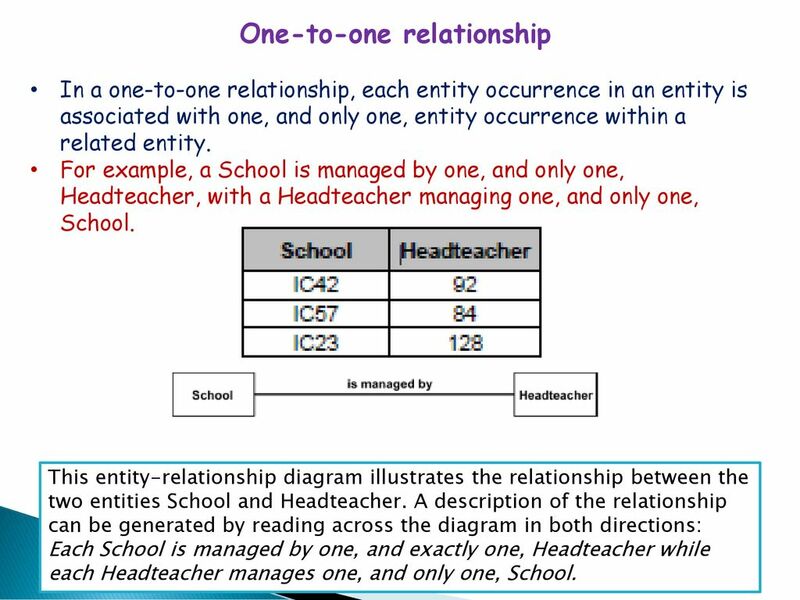 A description of the relationship can be generated by reading across the diagram in both directions: Each School is managed by one, and exactly one, Headteacher while each Headteacher manages one, and only one, School. 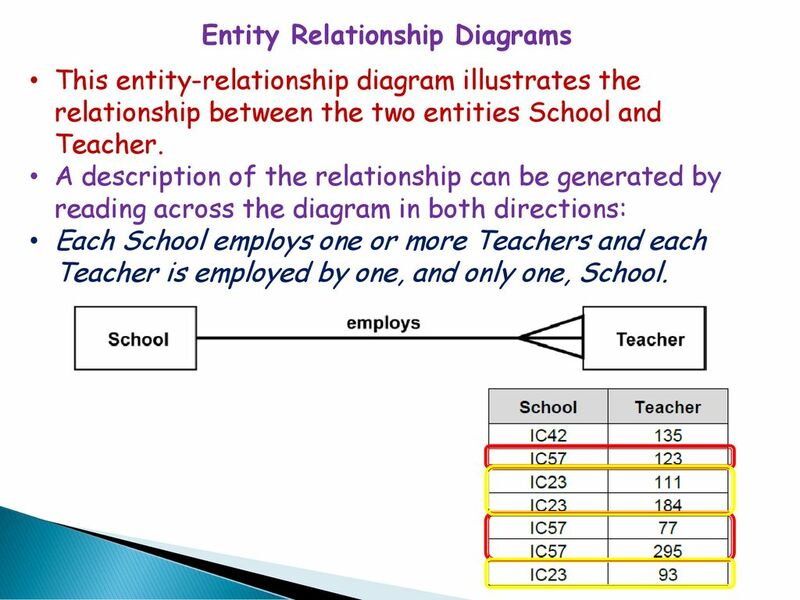 This entity-relationship diagram illustrates the relationship between the two entities School and Teacher. 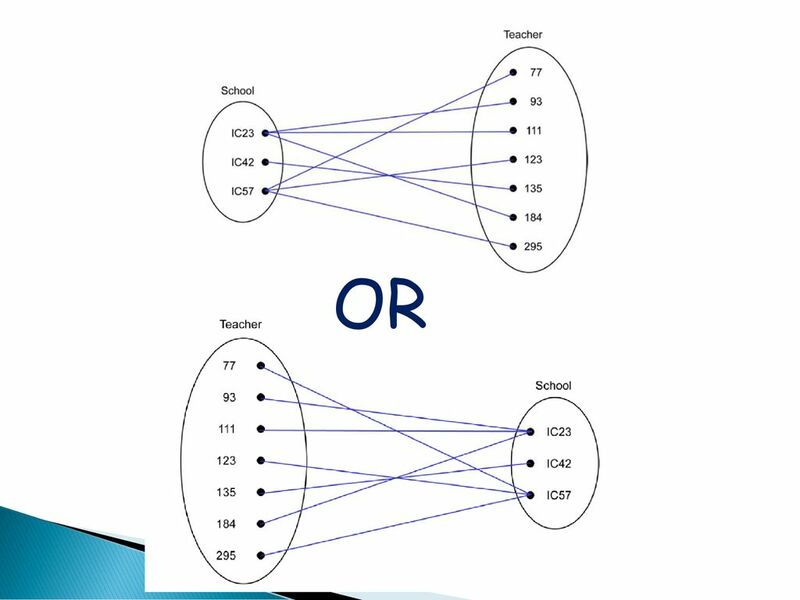 A description of the relationship can be generated by reading across the diagram in both directions: Each School employs one or more Teachers and each Teacher is employed by one, and only one, School. 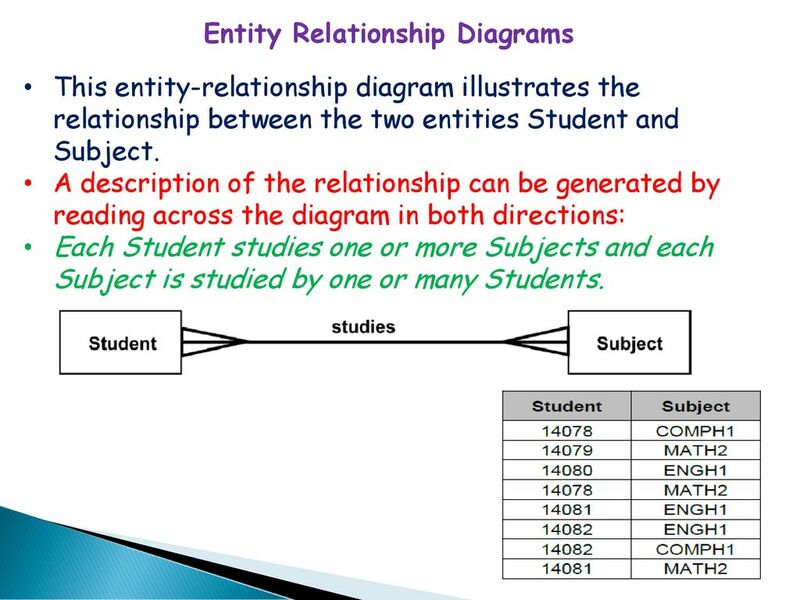 This entity-relationship diagram illustrates the relationship between the two entities Student and Subject. 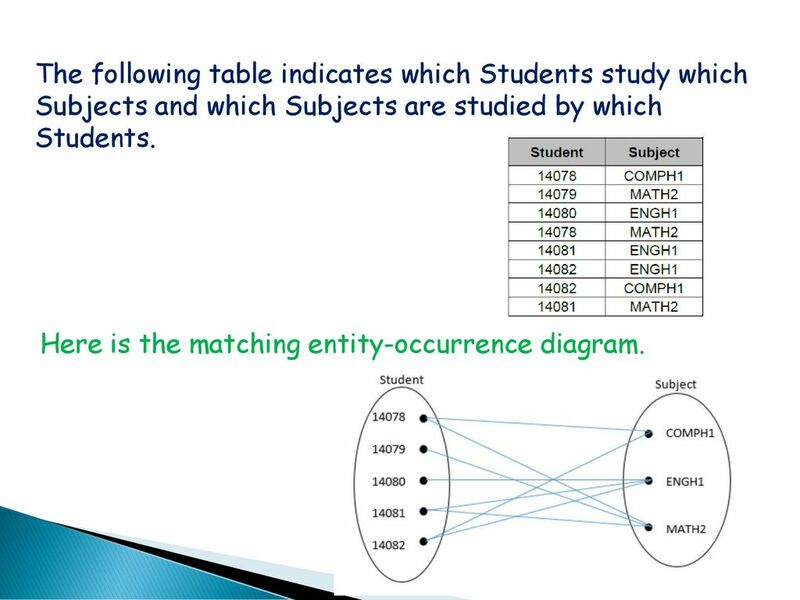 A description of the relationship can be generated by reading across the diagram in both directions: Each Student studies one or more Subjects and each Subject is studied by one or many Students. 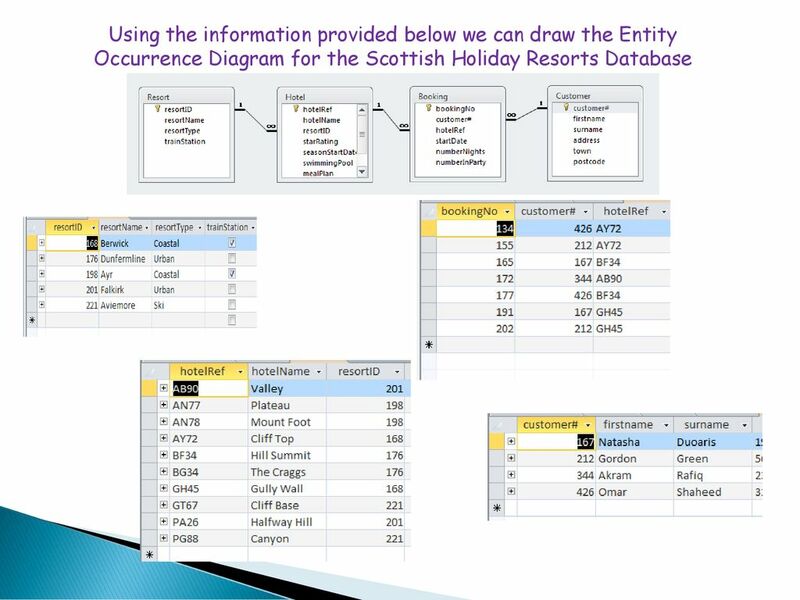 A relational database is used by a travel agency to store details of Scottish holiday resorts and hotels in each resort. 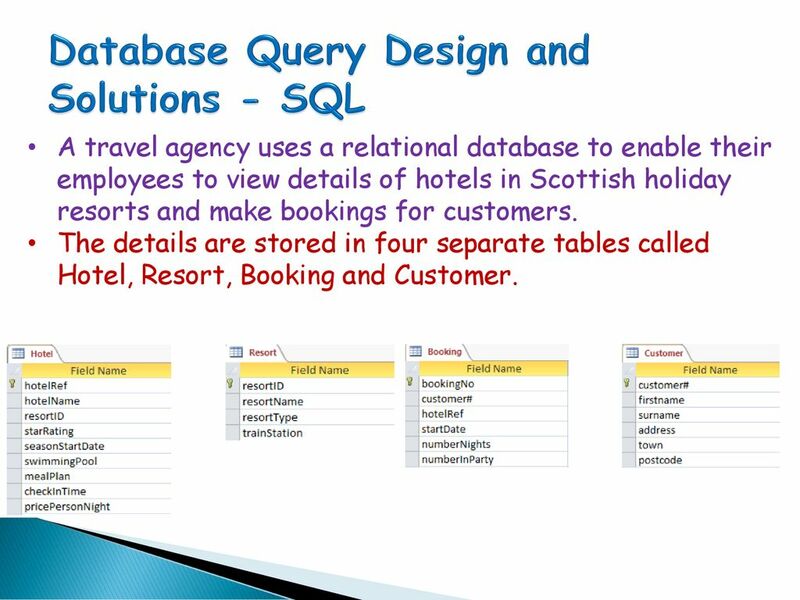 The database also stores details of customers and their hotel bookings. The Booking, Customer, Resort and Hotel details are arranged in four separate entities. 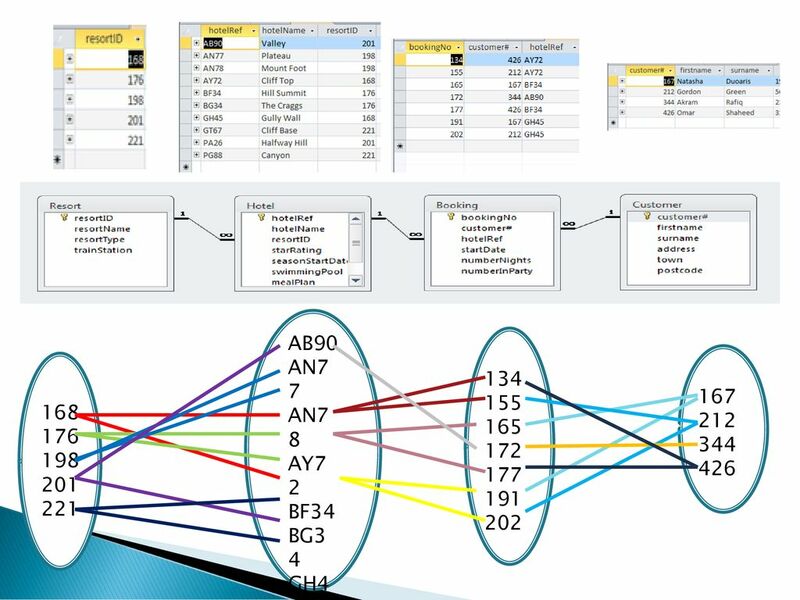 An entity-occurrence diagram illustrates the relationships between the entity occurrences of one entity, with the entity occurrences within a related entity. 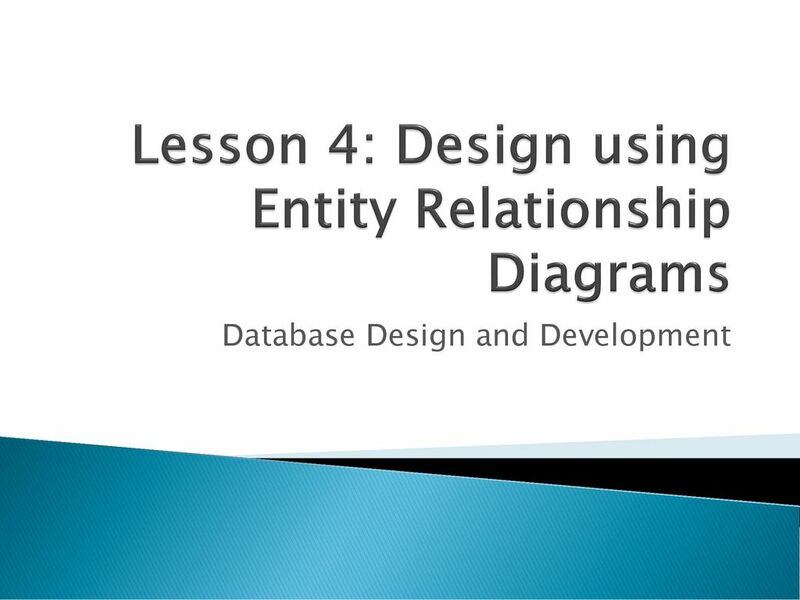 The creation of an entity-occurrence diagram helps to identify the cardinality of the relationship that exists between the two entities. In an entity-occurrence diagram, each entity is shown as a tall oval. 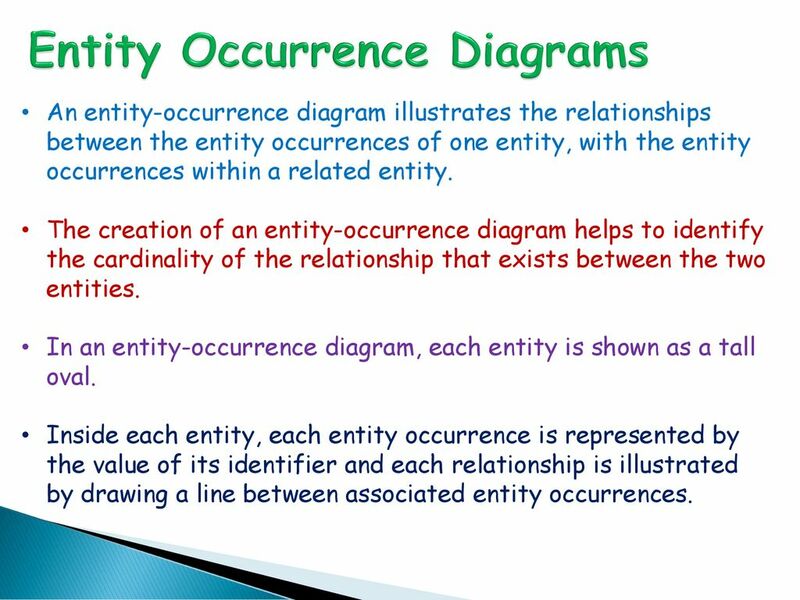 Inside each entity, each entity occurrence is represented by the value of its identifier and each relationship is illustrated by drawing a line between associated entity occurrences. 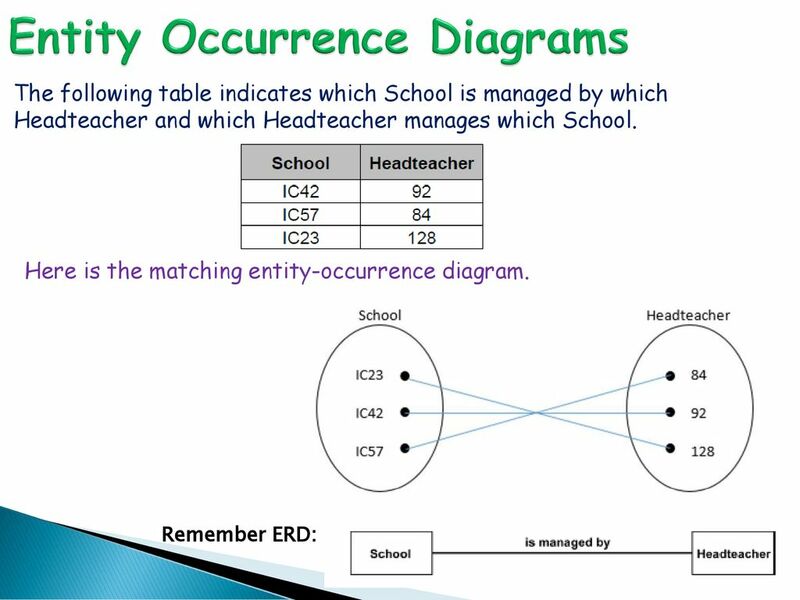 33 From this entity-occurrence diagram, we can see that each occurrence in the School entity has an association with one, and only one, entity occurrence in the Headteacher entity. 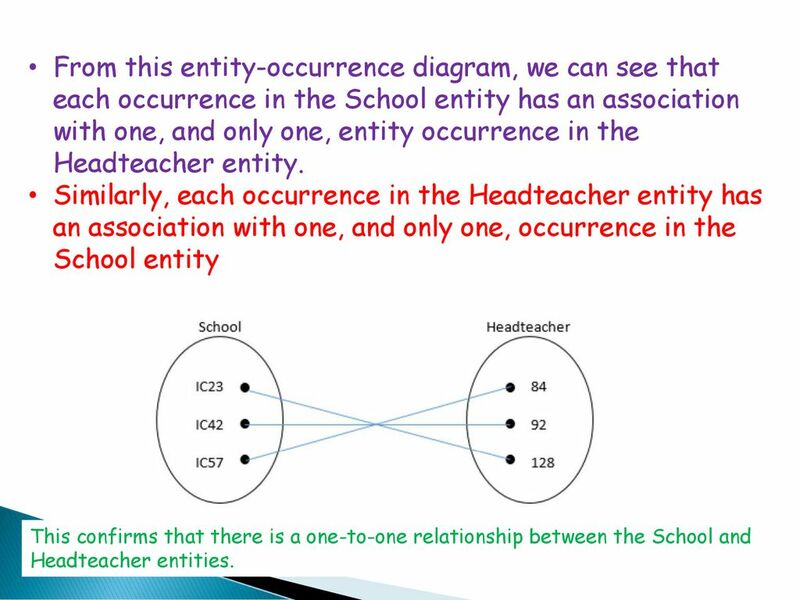 Similarly, each occurrence in the Headteacher entity has an association with one, and only one, occurrence in the School entity This confirms that there is a one-to-one relationship between the School and Headteacher entities. 34 The following table indicates which School employs which Teachers and which Teachers are employed by which School. 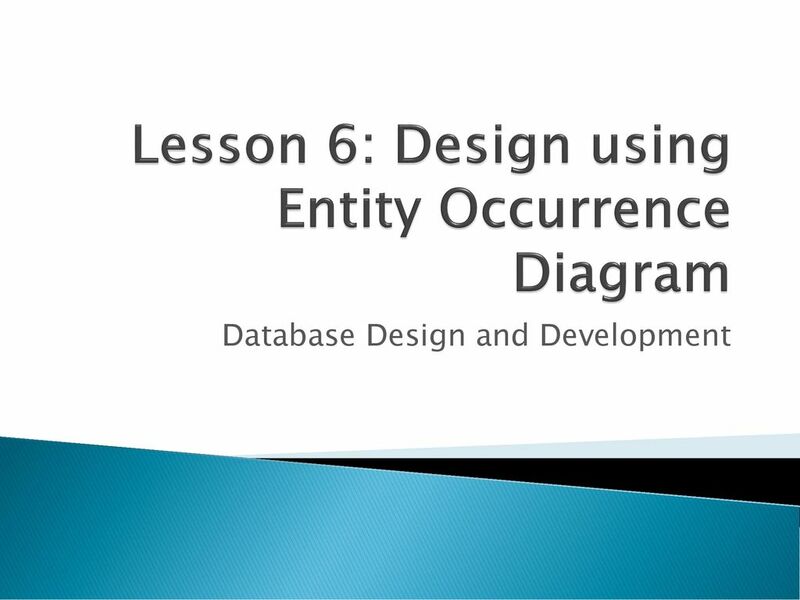 Here is the matching entity-occurrence diagram. 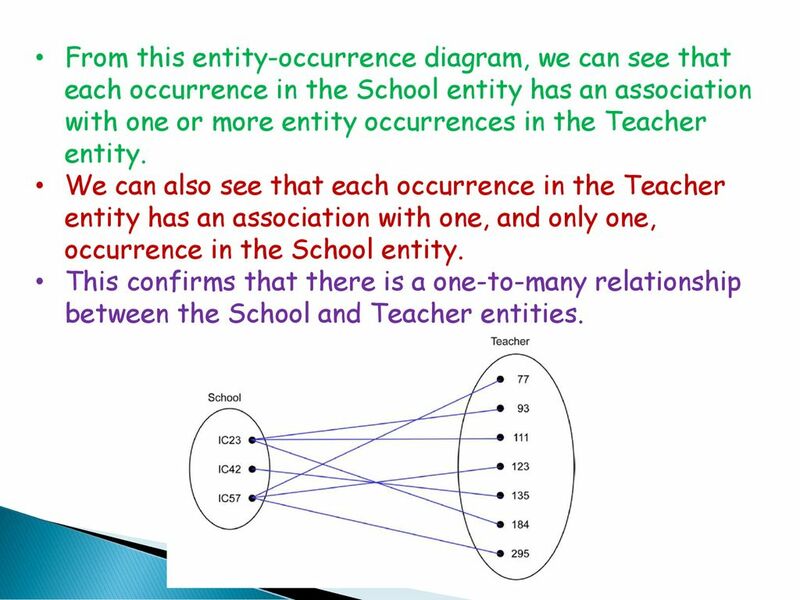 35 From this entity-occurrence diagram, we can see that each occurrence in the School entity has an association with one or more entity occurrences in the Teacher entity. 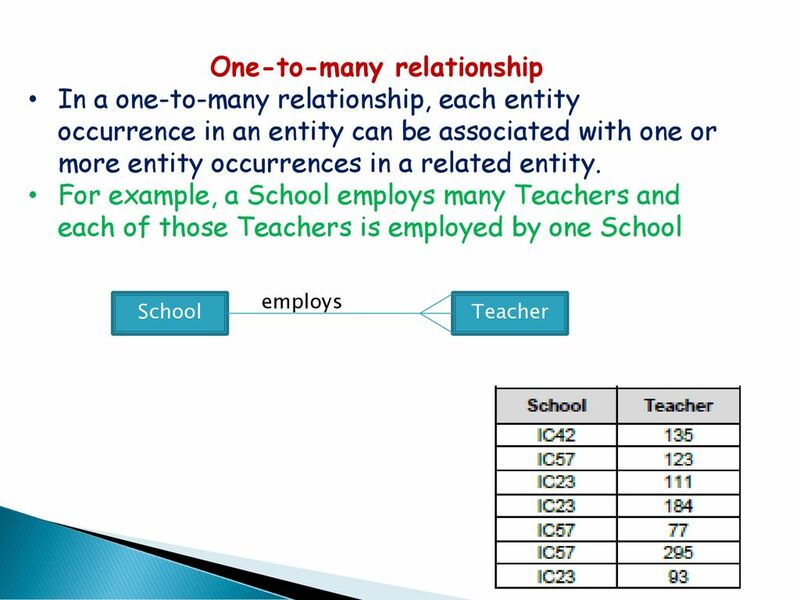 We can also see that each occurrence in the Teacher entity has an association with one, and only one, occurrence in the School entity. This confirms that there is a one-to-many relationship between the School and Teacher entities. 37 The following table indicates which Students study which Subjects and which Subjects are studied by which Students. 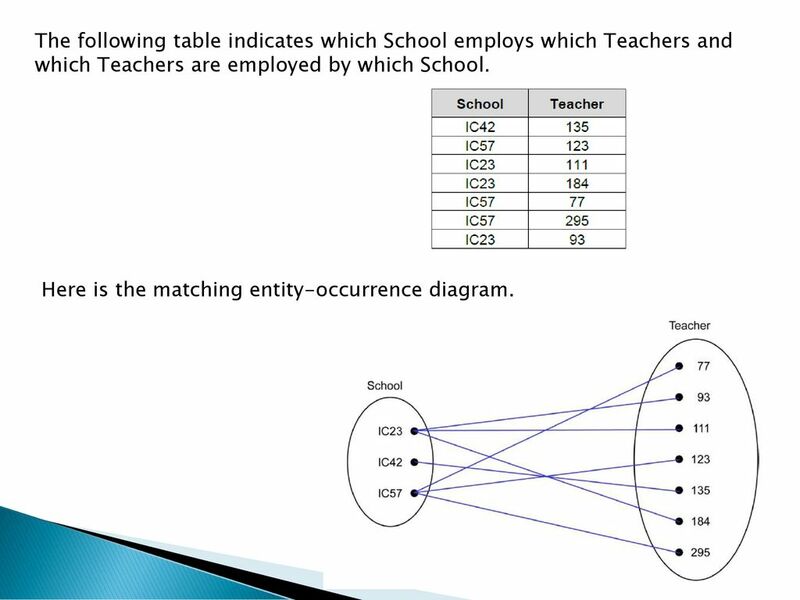 Here is the matching entity-occurrence diagram. 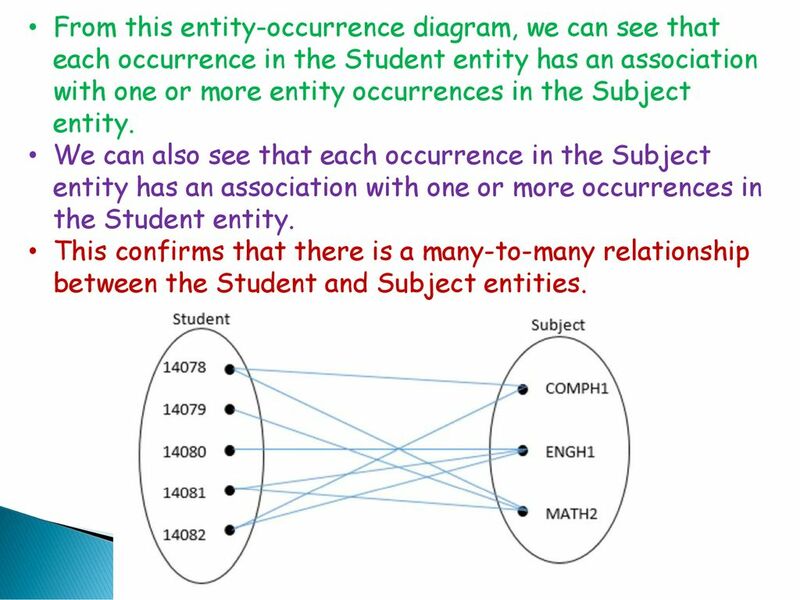 38 From this entity-occurrence diagram, we can see that each occurrence in the Student entity has an association with one or more entity occurrences in the Subject entity. 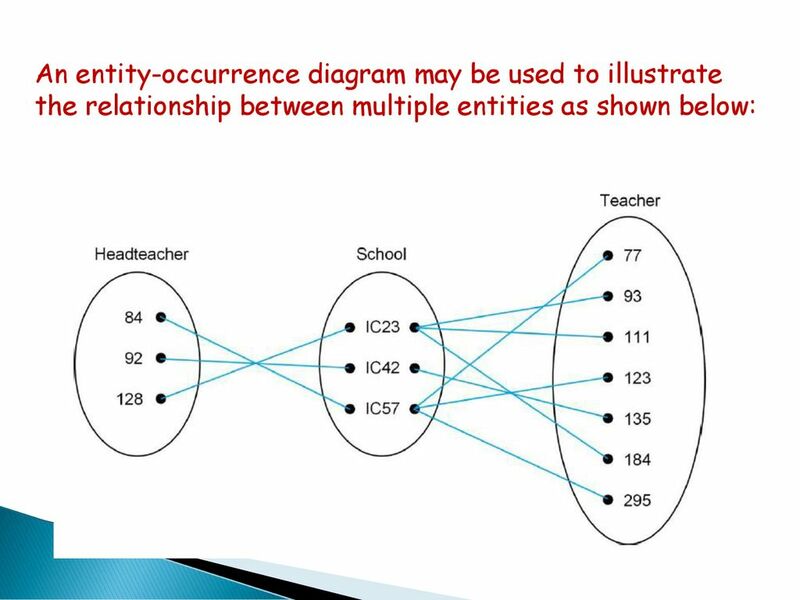 We can also see that each occurrence in the Subject entity has an association with one or more occurrences in the Student entity. 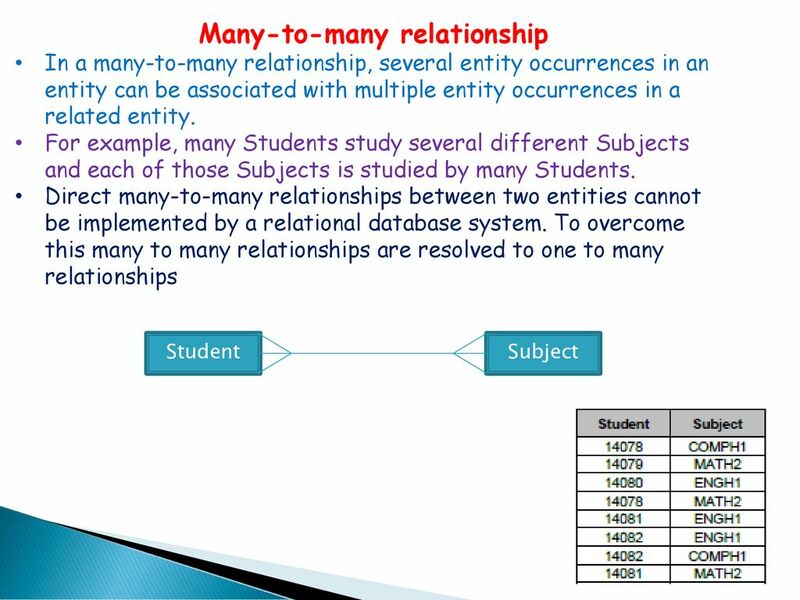 This confirms that there is a many-to-many relationship between the Student and Subject entities. 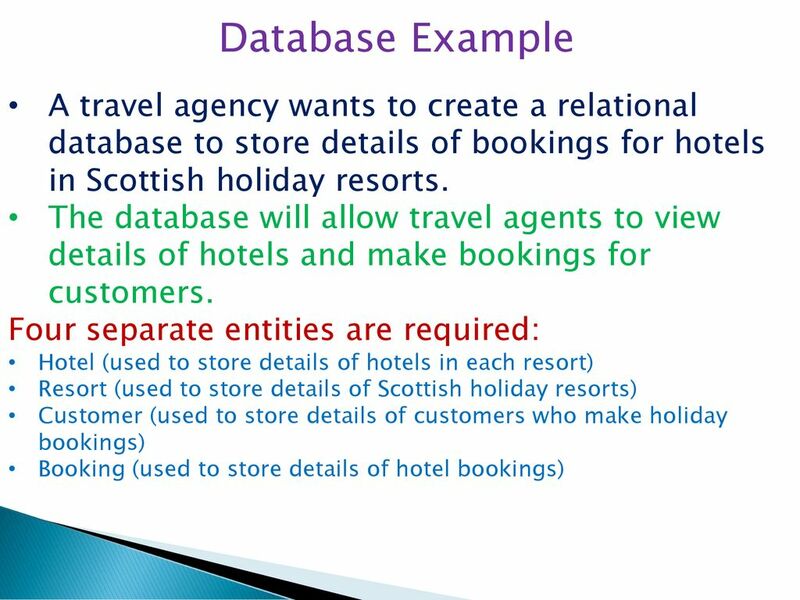 A travel agency uses a relational database to enable their employees to view details of hotels in Scottish holiday resorts and make bookings for customers. 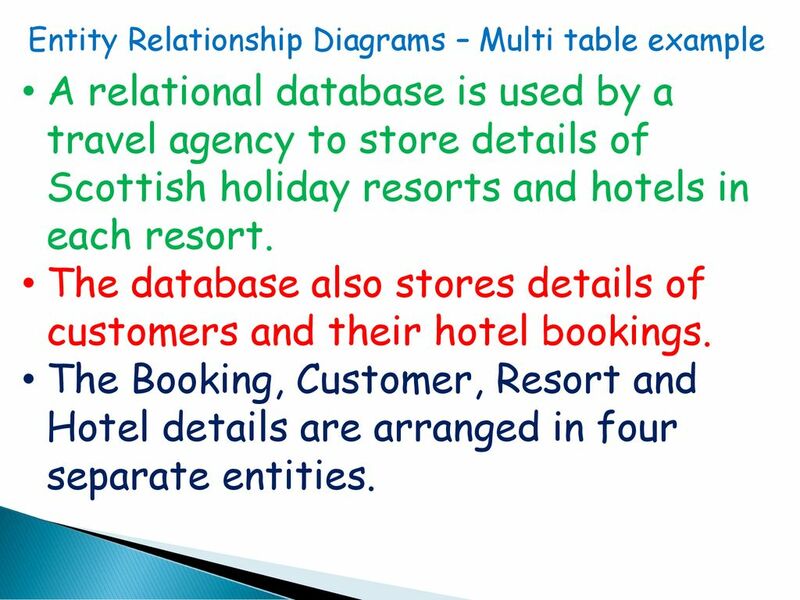 The details are stored in four separate tables called Hotel, Resort, Booking and Customer. 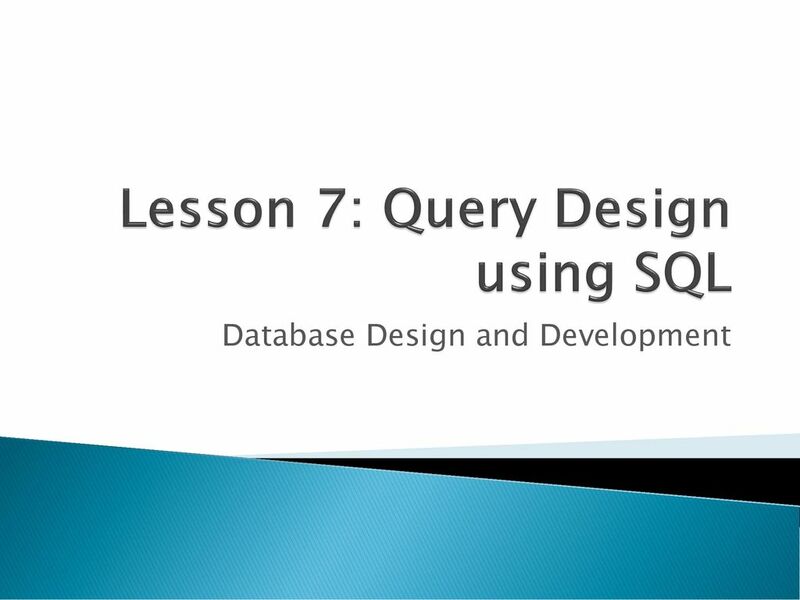 60 In the same way that pre-defined programming functions receive parameter values, SQL aggregate functions require an expression. 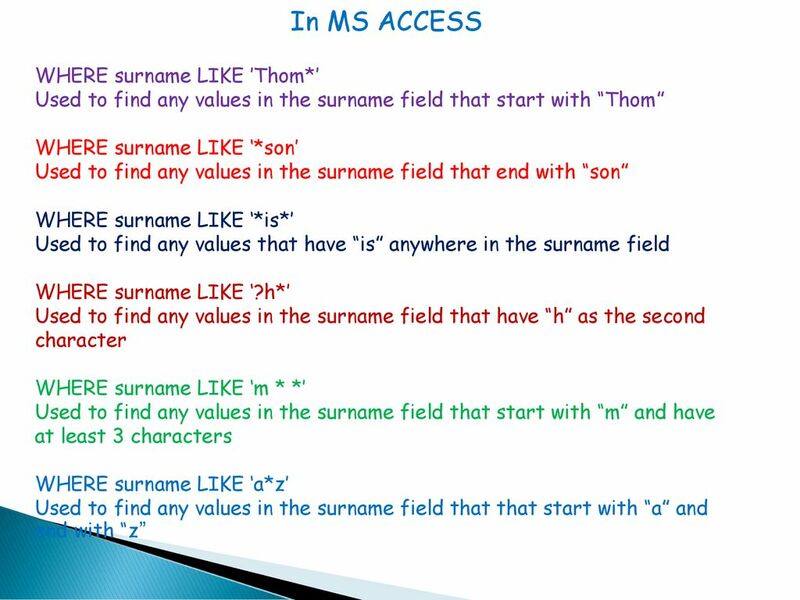 This expression is usually a column name but it can be a column name together with an operator. 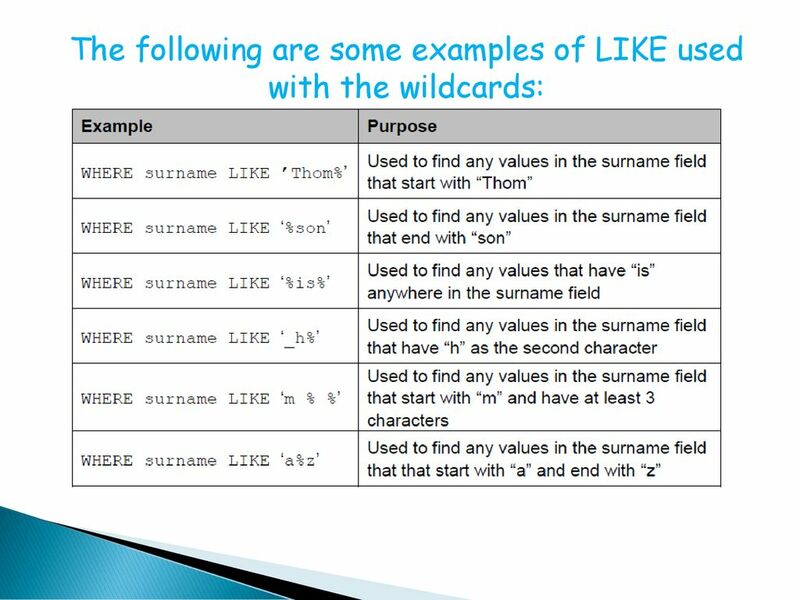 The following points should be noted:  SUM( ) and AVG( ) can only be applied to numeric data types; MIN( ) and MAX( ) work with characters, numeric, and date/time datatypes; COUNT( ) works with all data types. 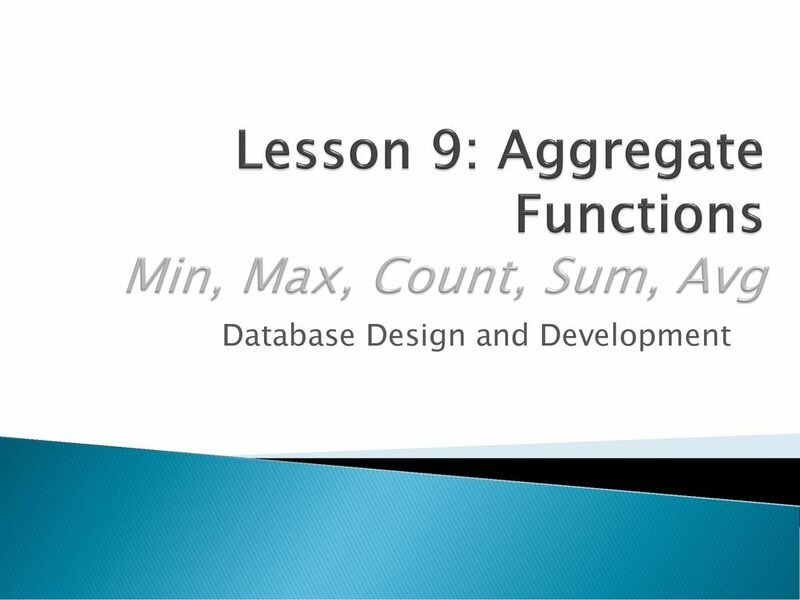  All aggregate functions except, COUNT( ), ignore nulls.  COUNT( ) always returns a positive integer or zero. 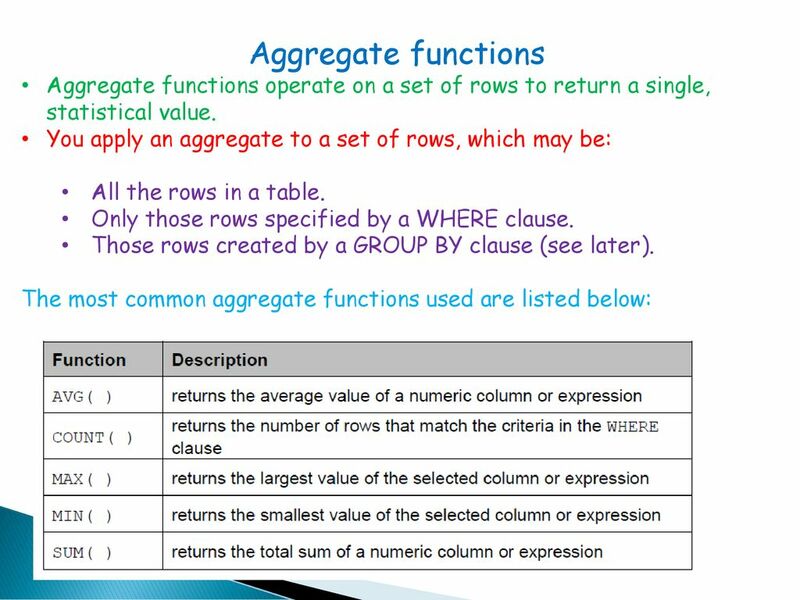 The other aggregate functions return null if the set contains no rows or contains rows with only nulls.  An aggregate expression cannot be used in a WHERE clause. 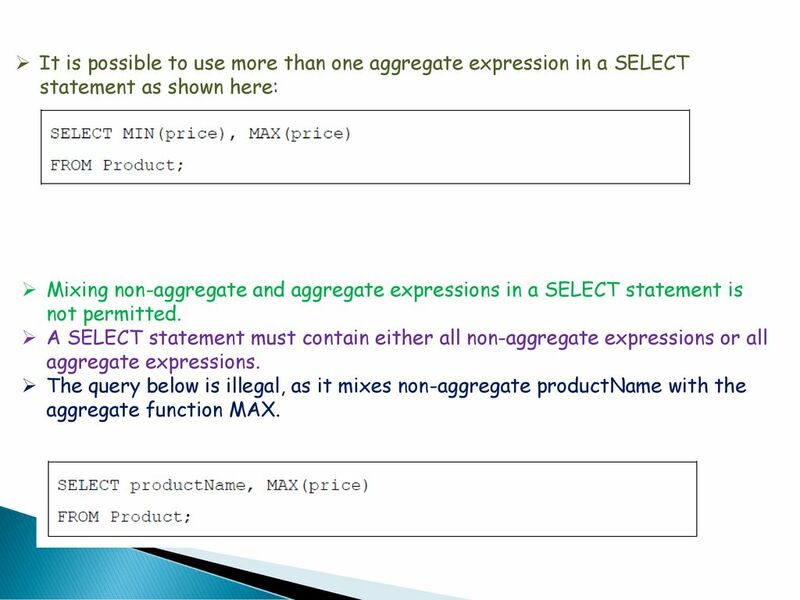 Mixing non-aggregate and aggregate expressions in a SELECT statement is not permitted. A SELECT statement must contain either all non-aggregate expressions or all aggregate expressions. 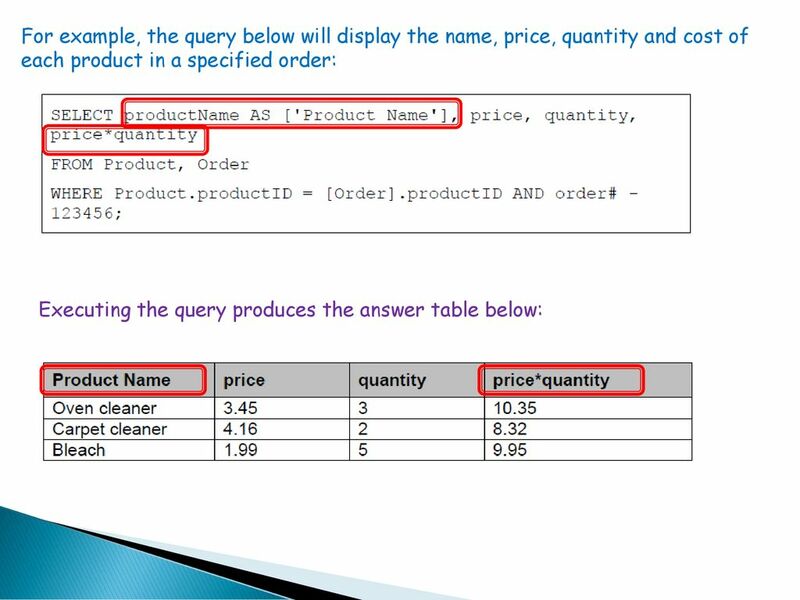 The query below is illegal, as it mixes non-aggregate productName with the aggregate function MAX. 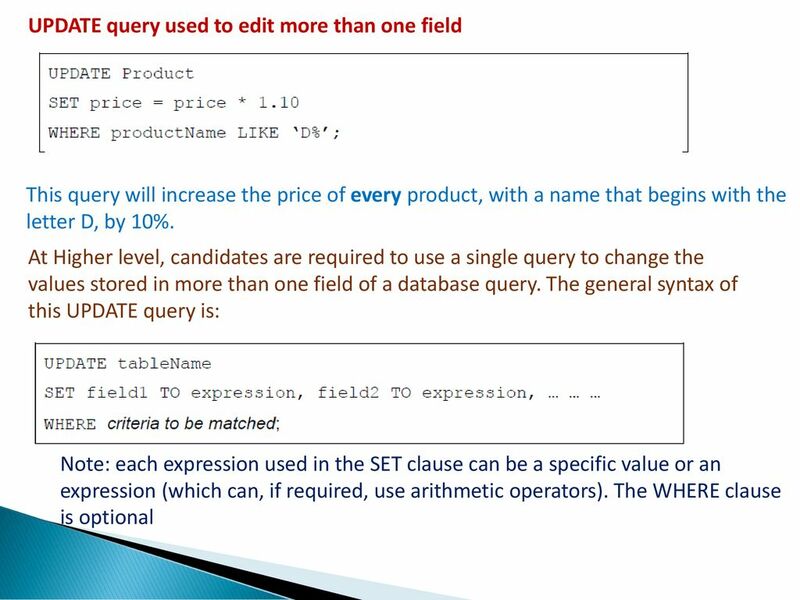 Arithmetic expressions can be used to compute values as part of a SELECT query. The arithmetic expressions can contain column names, numeric numbers, and arithmetic operators. 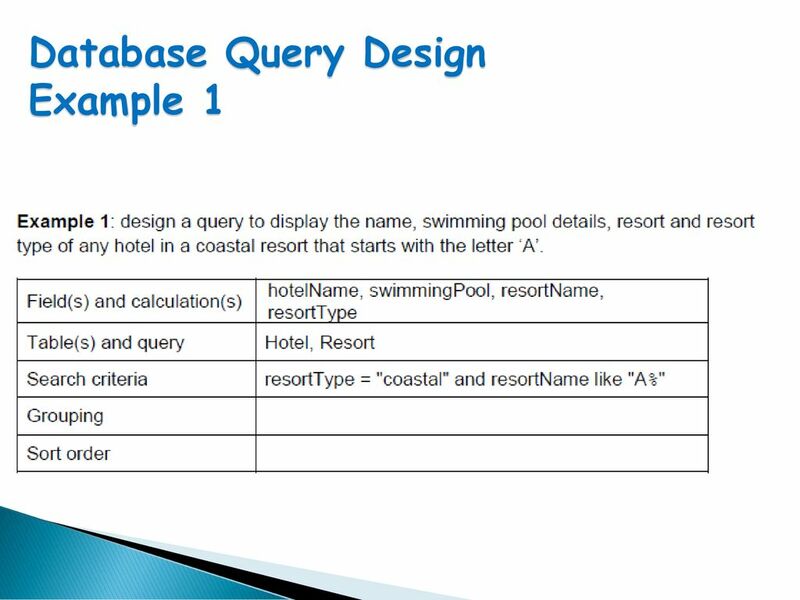 Whenever a value is generated by a query, it is allocated its own column in the query answer table. 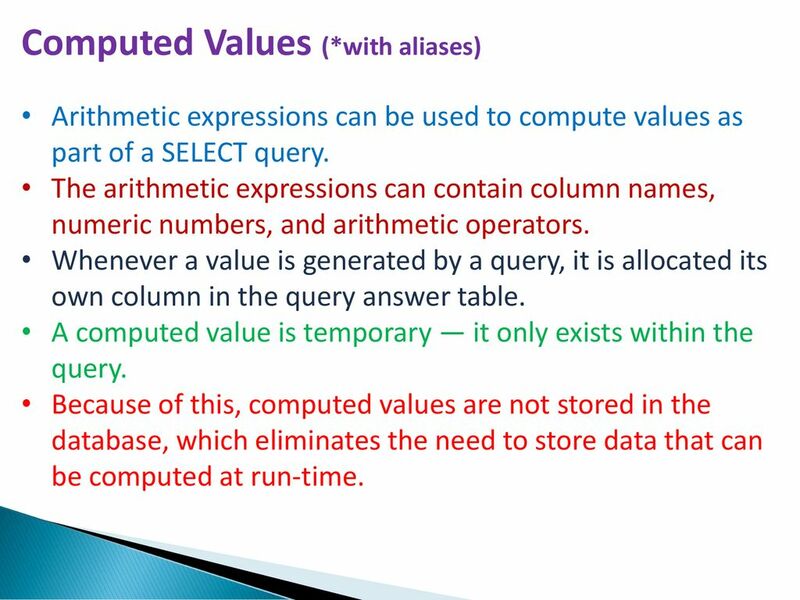 A computed value is temporary — it only exists within the query. 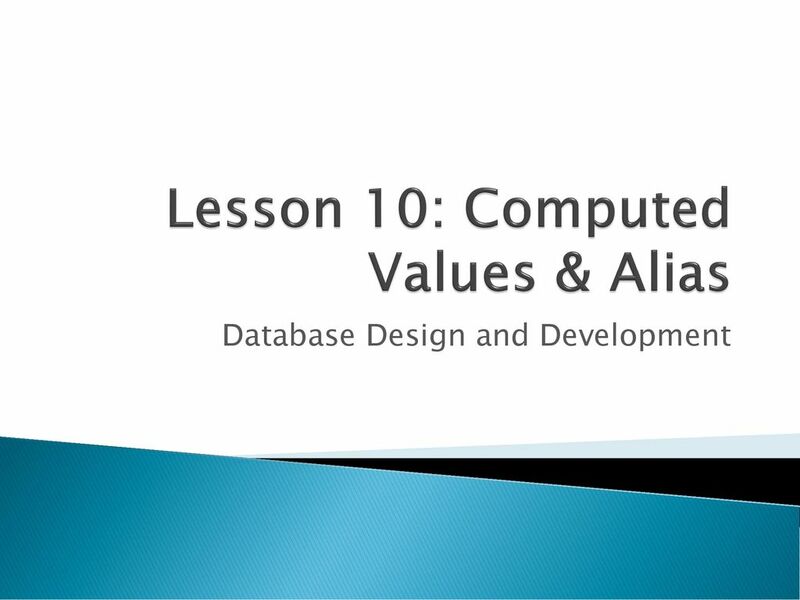 Because of this, computed values are not stored in the database, which eliminates the need to store data that can be computed at run-time. 64 Alias An alias can be used to give any column in an answer table a temporary name. Doing this makes the headings in the answer table more readable. 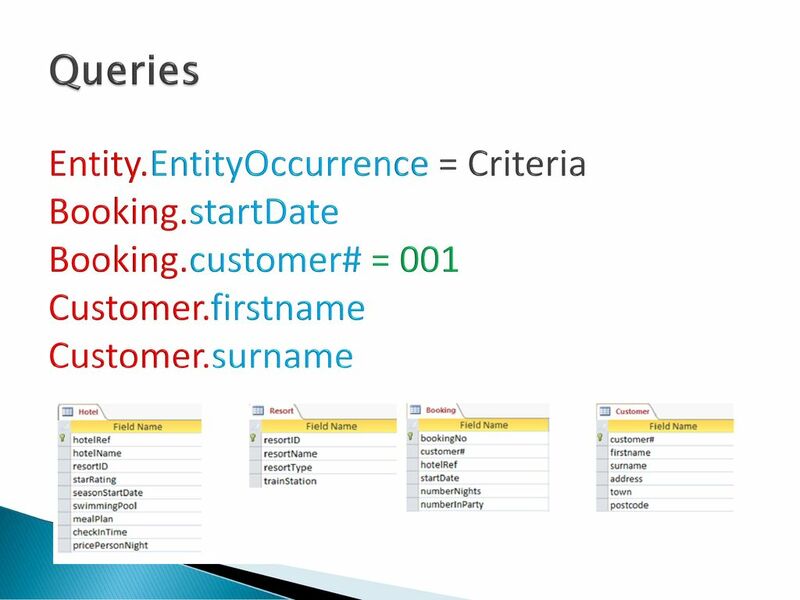 Since it is generated at run-time, an alias only exists for the duration of the query. An alias is listed in the SELECT list by using the AS statement. 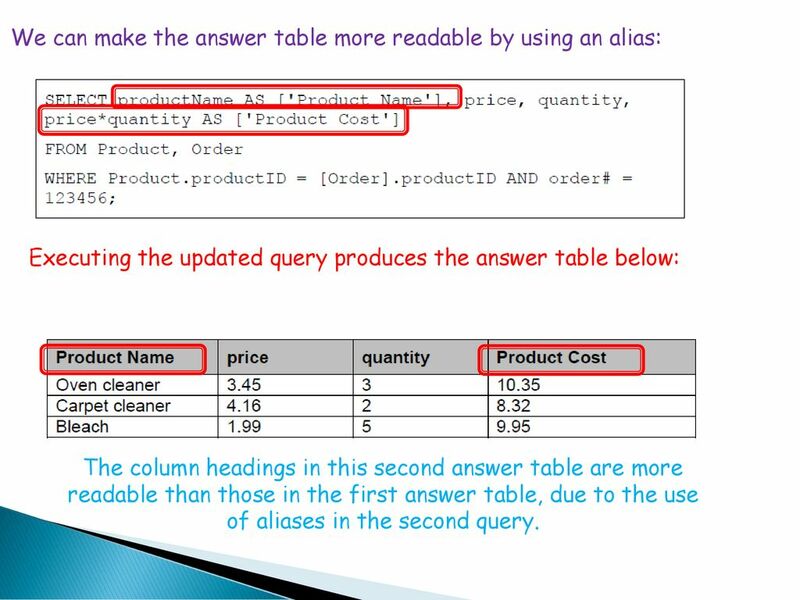 Executing the updated query produces the answer table below: The column headings in this second answer table are more readable than those in the first answer table, due to the use of aliases in the second query. 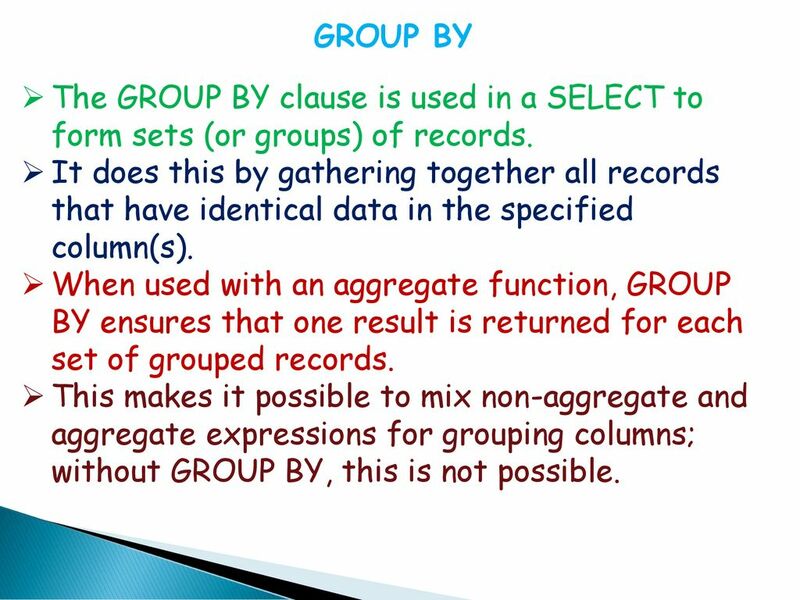 68 GROUP BY The GROUP BY clause is used in a SELECT to form sets (or groups) of records. 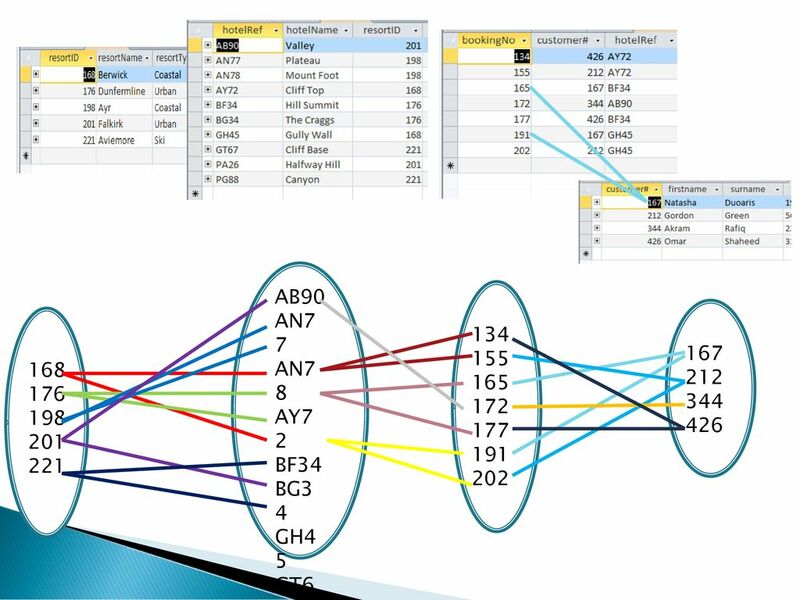 It does this by gathering together all records that have identical data in the specified column(s). 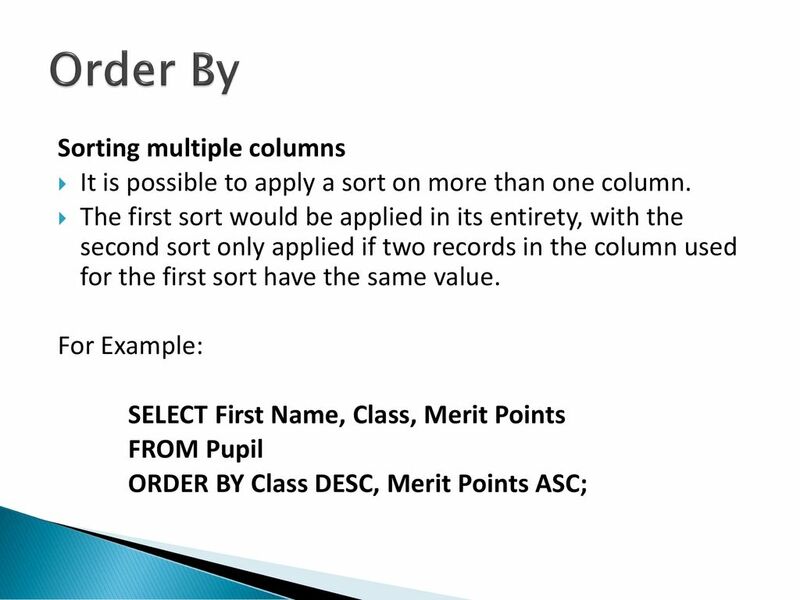 When used with an aggregate function, GROUP BY ensures that one result is returned for each set of grouped records. 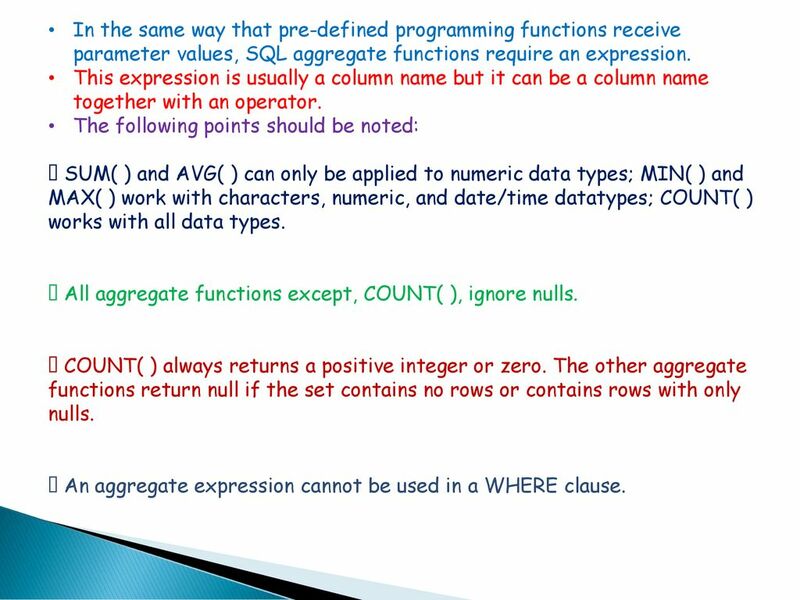 This makes it possible to mix non-aggregate and aggregate expressions for grouping columns; without GROUP BY, this is not possible. 69 The category with the cheapest product is listed first. 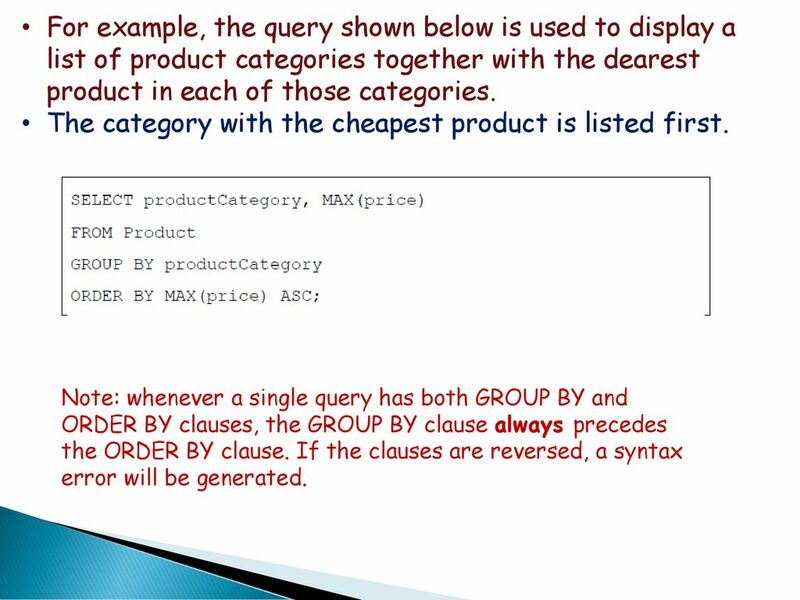 For example, the query shown below is used to display a list of product categories together with the dearest product in each of those categories. The category with the cheapest product is listed first. 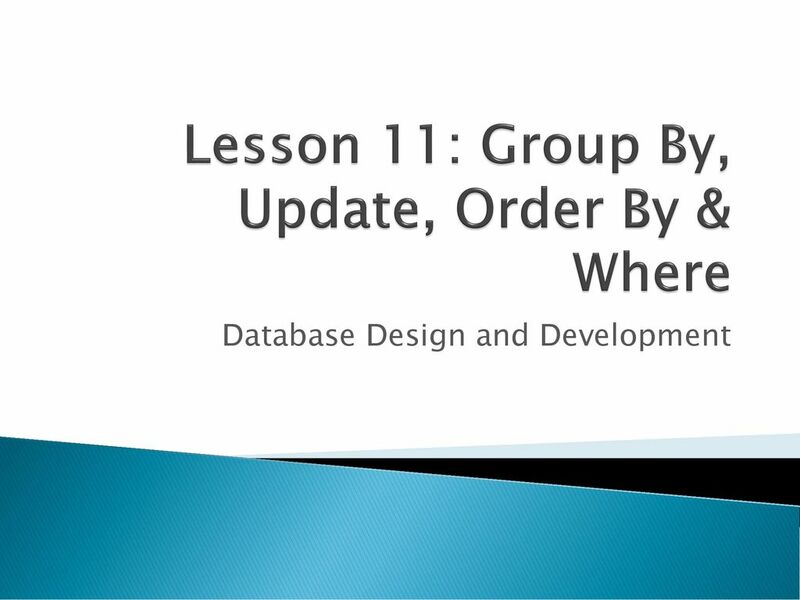 Note: whenever a single query has both GROUP BY and ORDER BY clauses, the GROUP BY clause always precedes the ORDER BY clause. 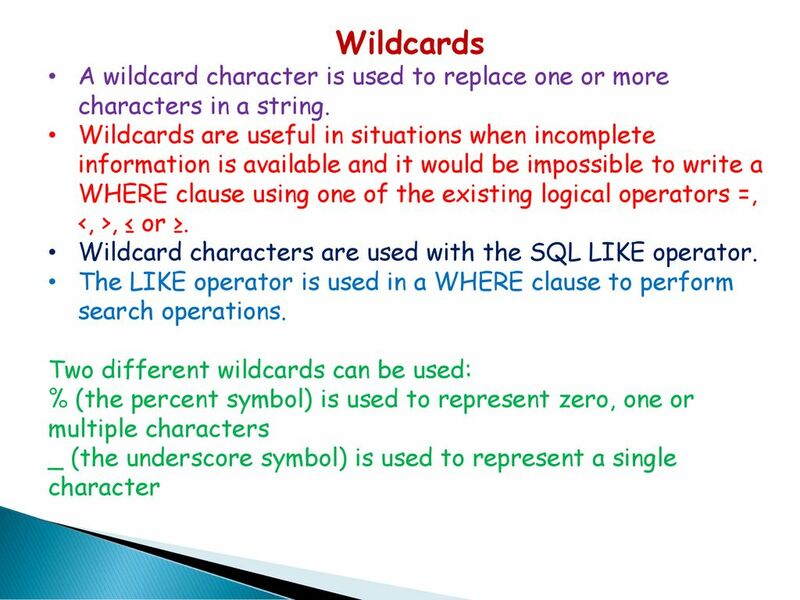 If the clauses are reversed, a syntax error will be generated. 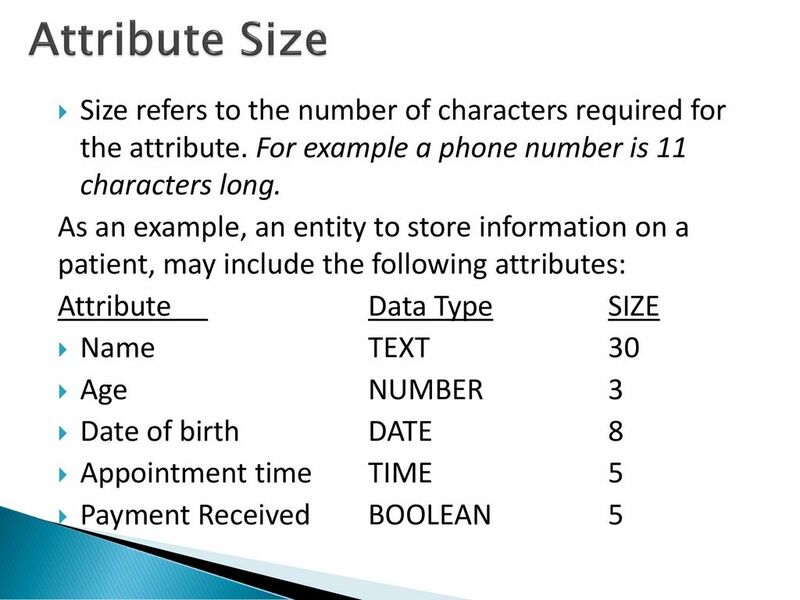 70 Update The UPDATE statement is used to modify the existing records in a table. 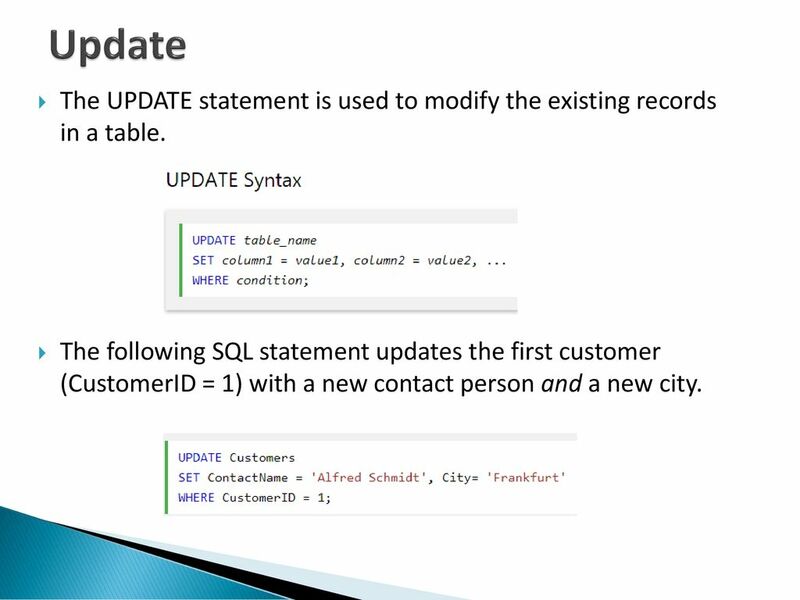 The following SQL statement updates the first customer (CustomerID = 1) with a new contact person and a new city. 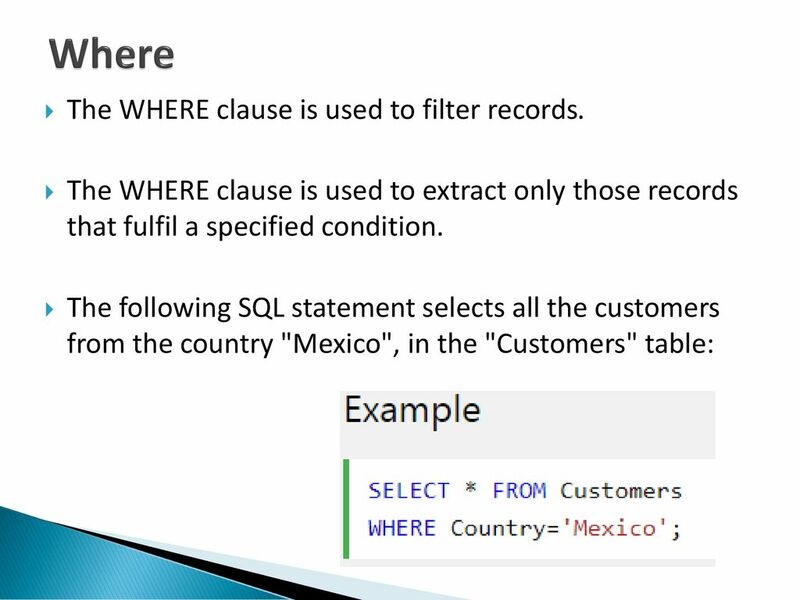 74 Where The WHERE clause is used to filter records. 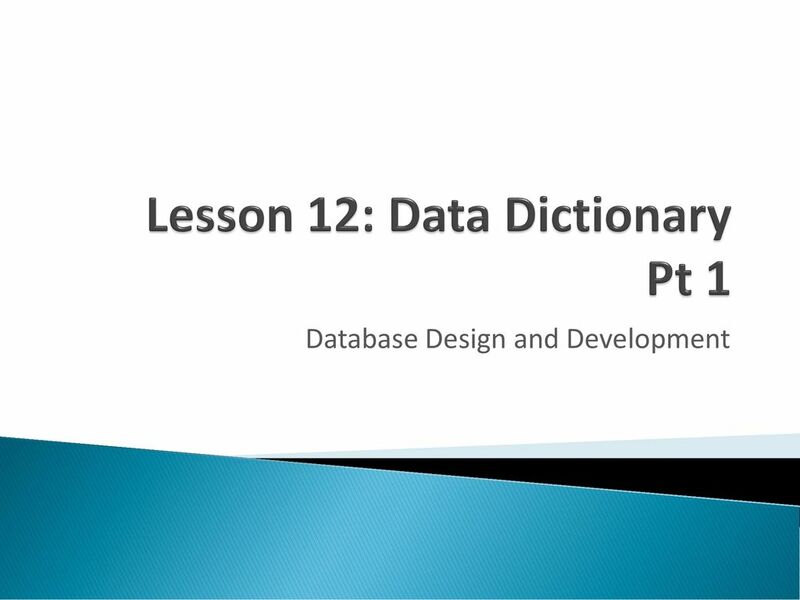 77 Data Dictionary Data dictionaries are created during the design phase to define the structure of a database. 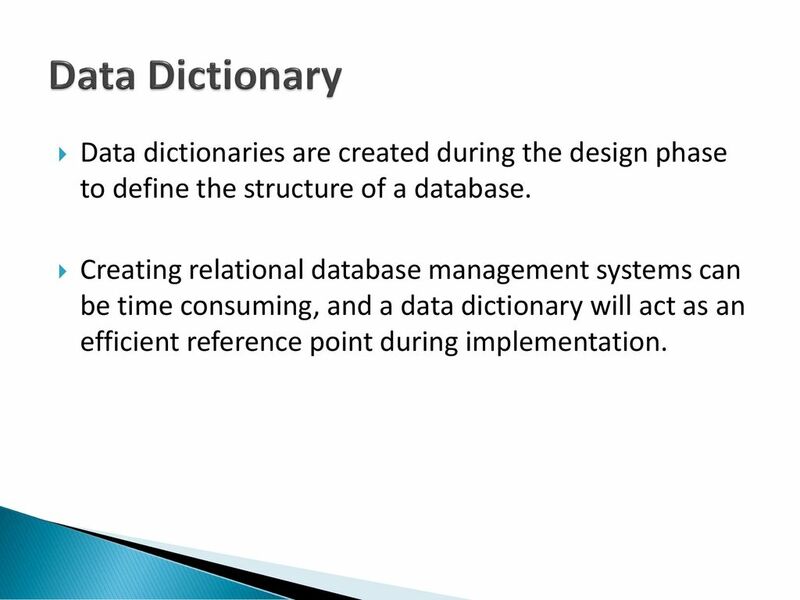 Creating relational database management systems can be time consuming, and a data dictionary will act as an efficient reference point during implementation. 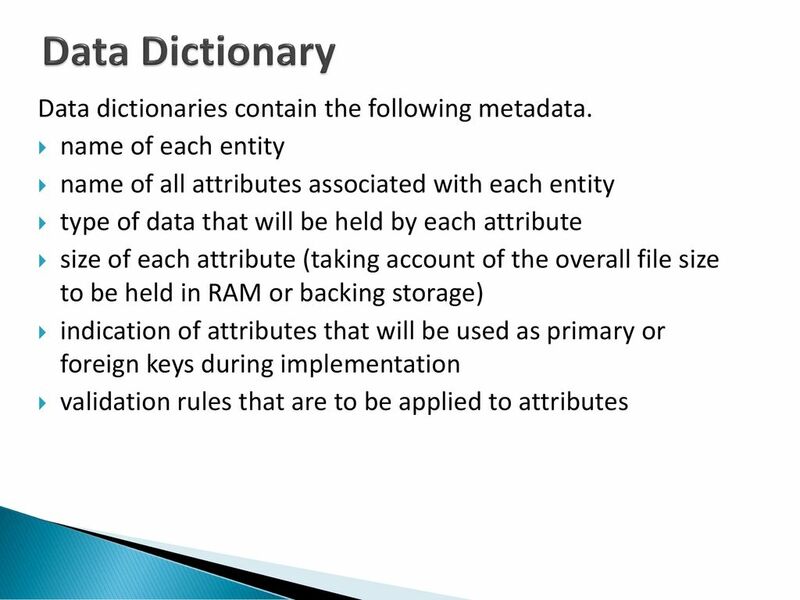 78 Data Dictionary Data dictionaries contain the following metadata. 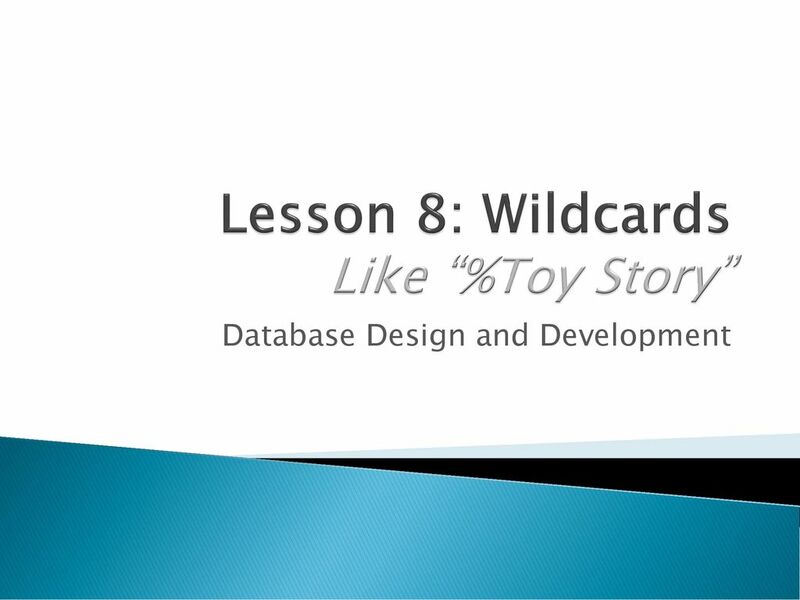 79 Entities In database design, entities represent what will become tables during implementation. The term 'entity' is used to describe the following: a person a place an object a thing Entities are made up of many attributes. 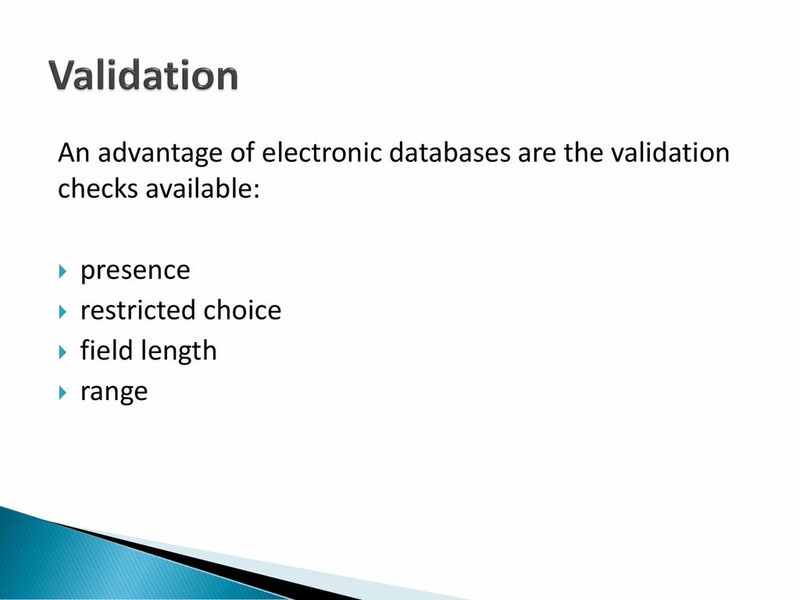 88 Validation Presence A presence check makes the person using the database enter something in this field. They cannot leave it blank. 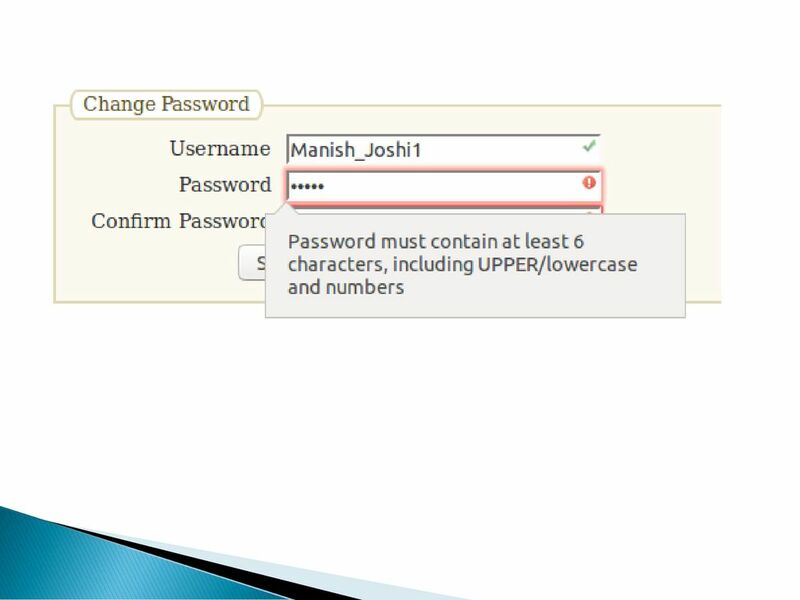 For example, when signing up for a new account on a social media platform, you cannot leave the password field empty. Restricted choice Restricted choice cuts down on mistakes by only letting you select an option from a menu or list. Field length restricts the number of characters typed. 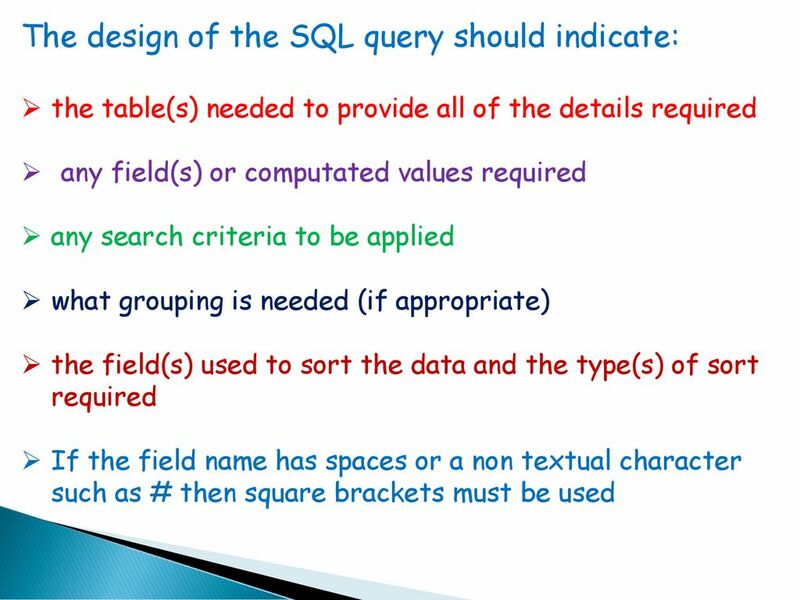 This can cut down on the total data requirements of the table. Eg: A typical length check could be used on a phone number which must be 11 digits long. 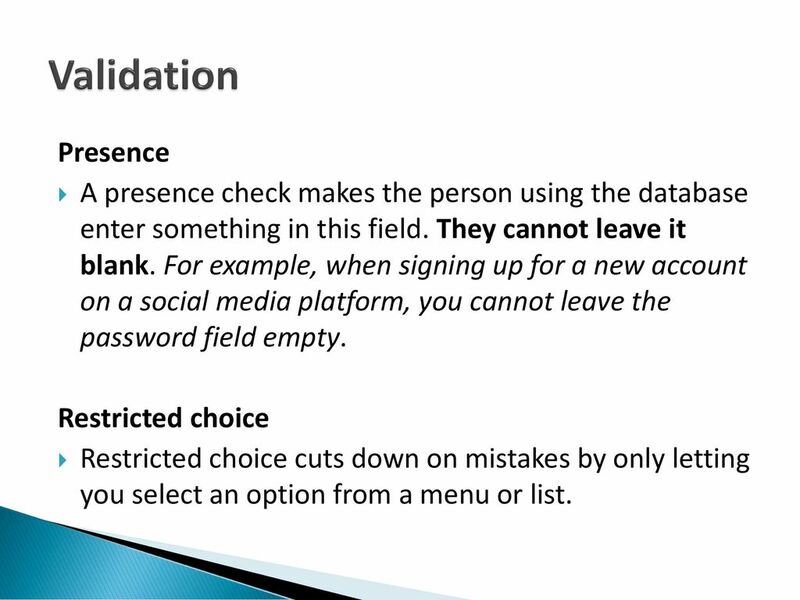 Range A range check makes sure data entered is within certain limits. This could be used to make sure the user enters a number >=1 and <=12 if they were entering their month of birth, or that they enter a number >=11 and <=16 for the database of school pupils between these ages. 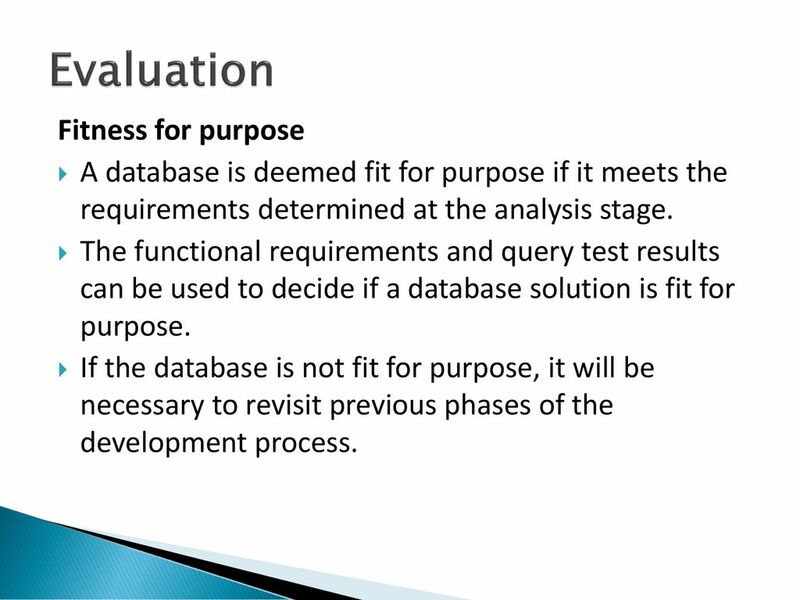 A database is deemed fit for purpose if it meets the requirements determined at the analysis stage. 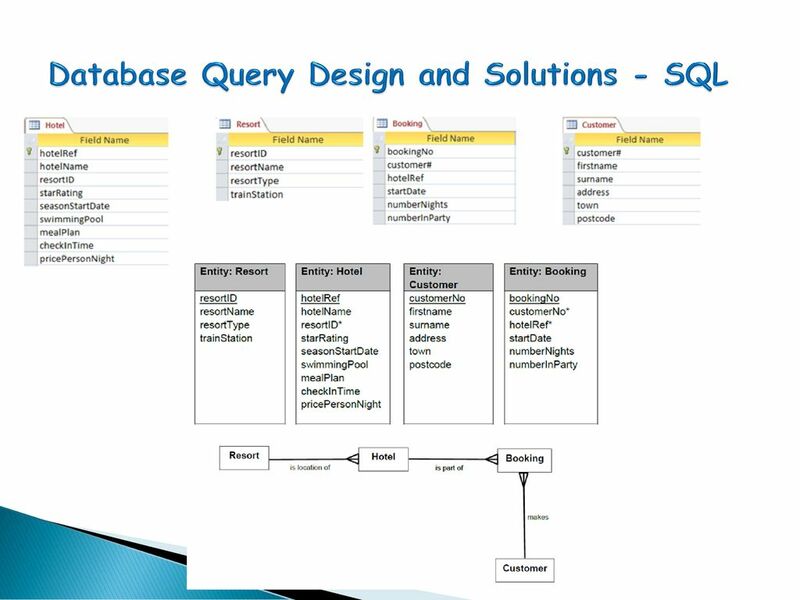 The functional requirements and query test results can be used to decide if a database solution is fit for purpose. 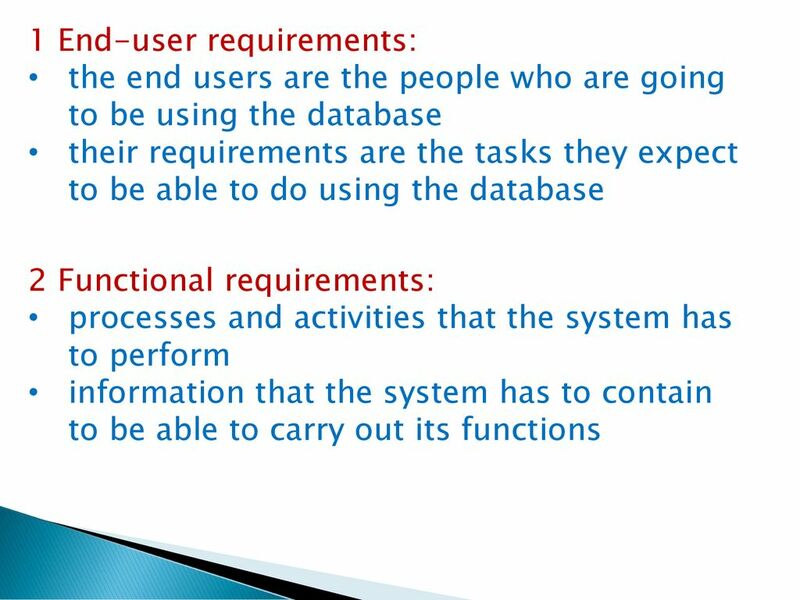 If the database is not fit for purpose, it will be necessary to revisit previous phases of the development process. There is no sense in using a database to store information if the data output is inaccurate. 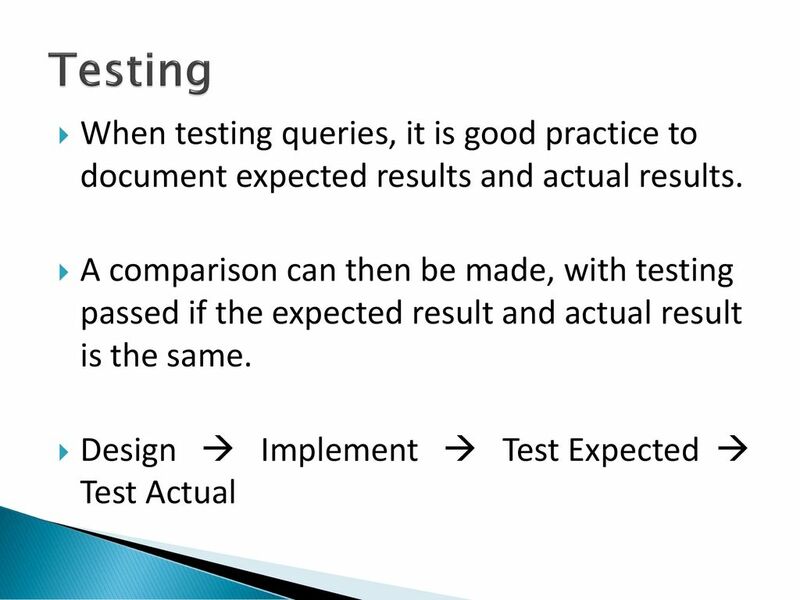 Your testing should reflect the accuracy of your outputs. You should also output only the required fields. 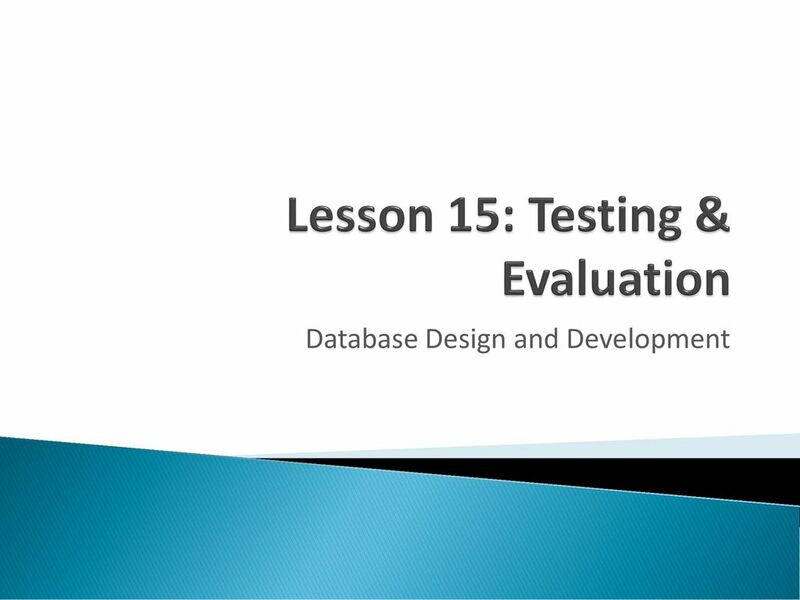 Check against the analysis, query design and testing to assess whether you have accurate data. 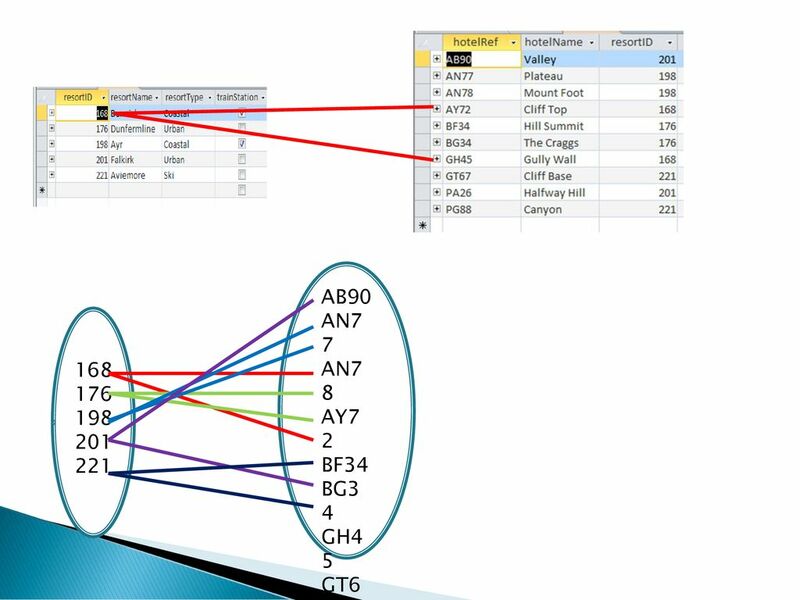 Inaccurate data may cause costly errors for your client. 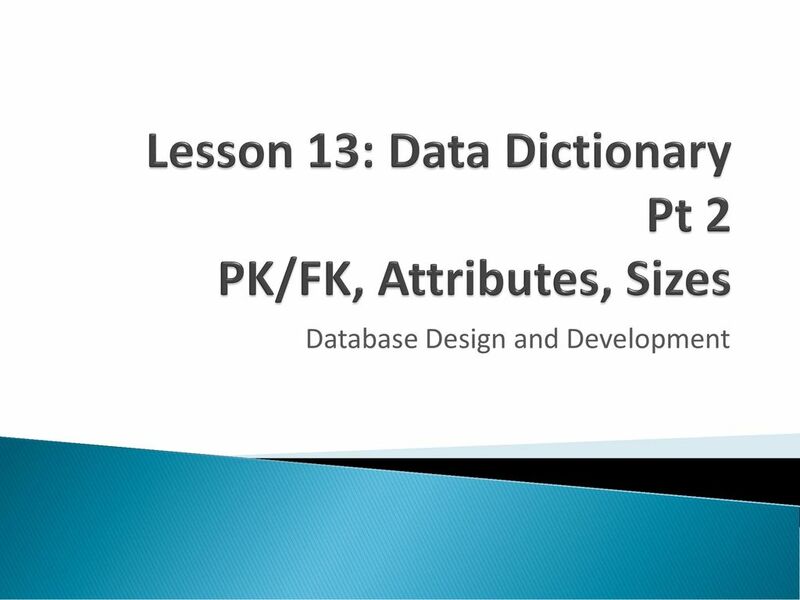 Download ppt "Database Design and Development"